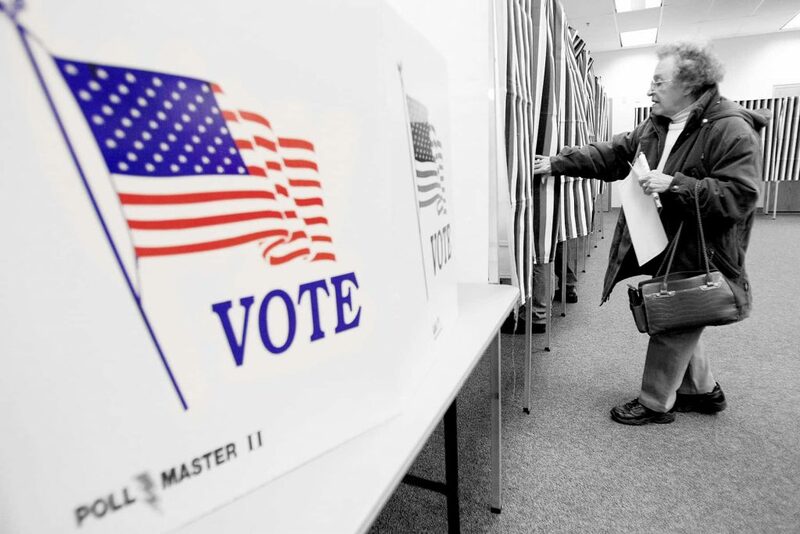 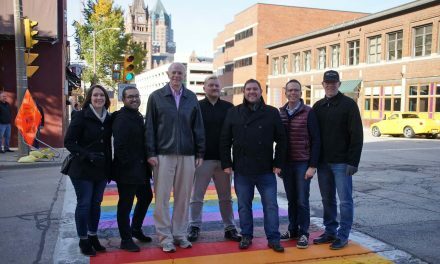 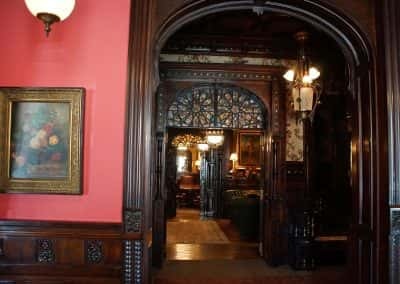 U.S. Representative Alexander Mitchell, a Scottish immigrant who came to Milwaukee in 1939 before it was formally a city, saw his residence grow along with his fortunes. 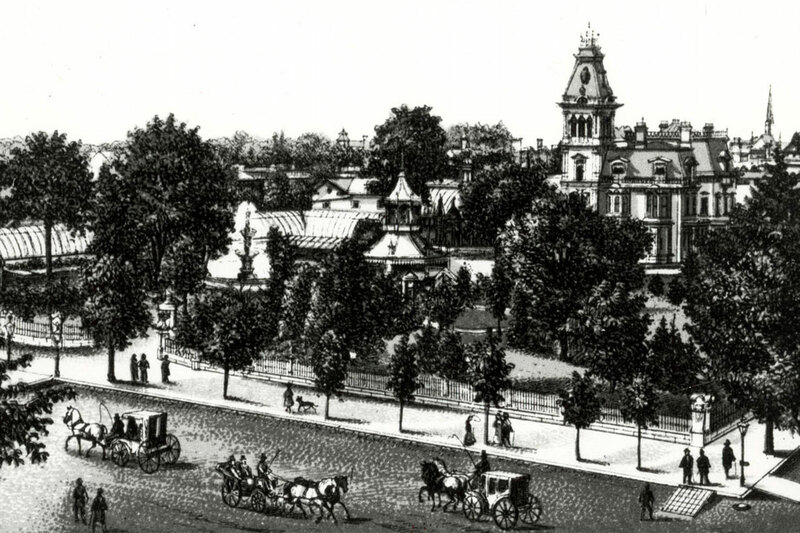 From a modest brick home in 1848, located between 9th and 10th streets along Grand Avenue, Mitchell eventually purchased the remaining property on that block and expanded his residence. 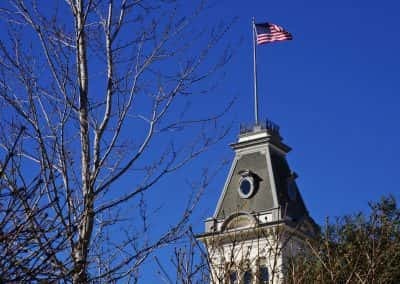 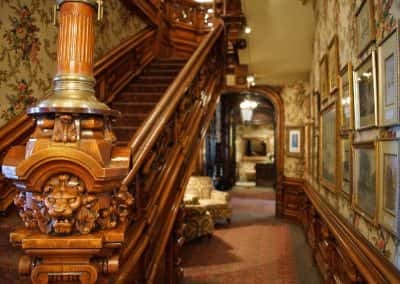 In addition to owning the Milwaukee Railroad and serving as a member of Congress, by 1876 Mitchell’s wealth was estimated to be in excess of $20 million. 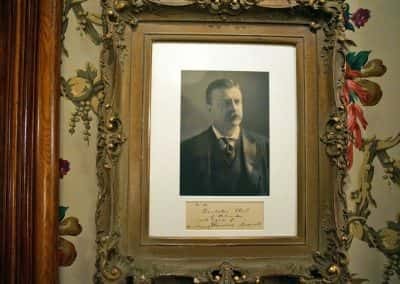 He also controlled the banking and insurance industry in Milwaukee. 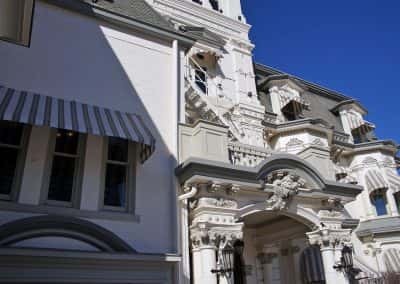 The architect Edward Townsend Mix was later hired to transform Mitchell’s home into a French Second Empire mansion, as it appears today. 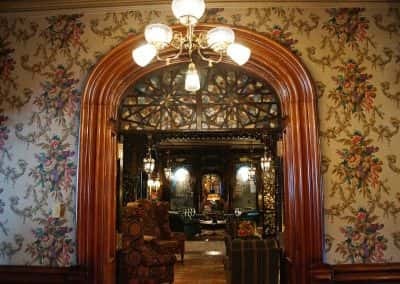 Many rooms were added, including the MacArthur ballroom and a library. 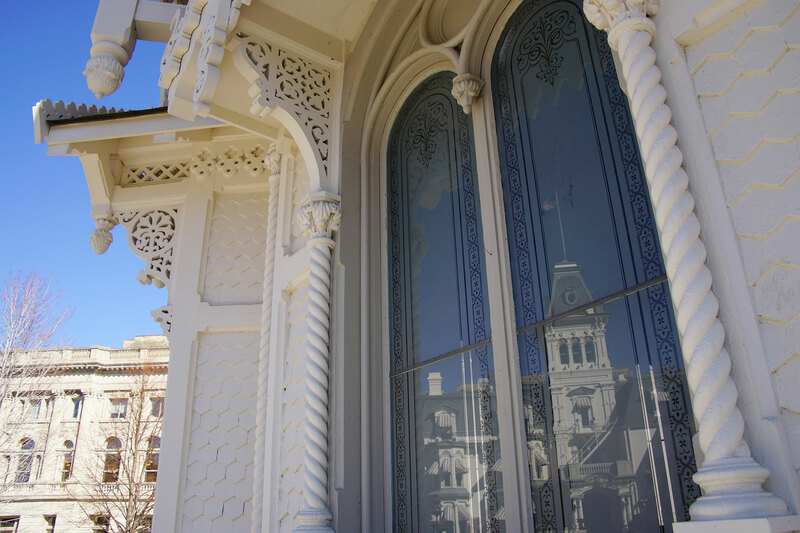 The original conservatory was later removed, but featured a small stream, palm trees, and many exotic plants. 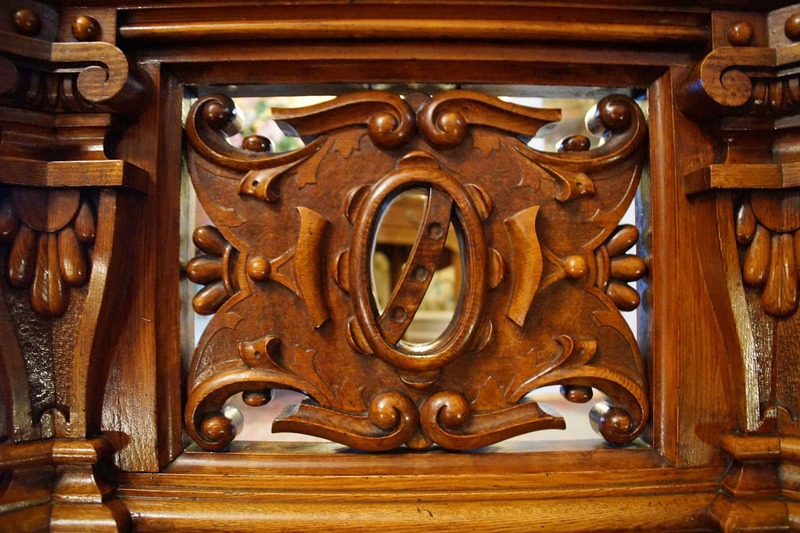 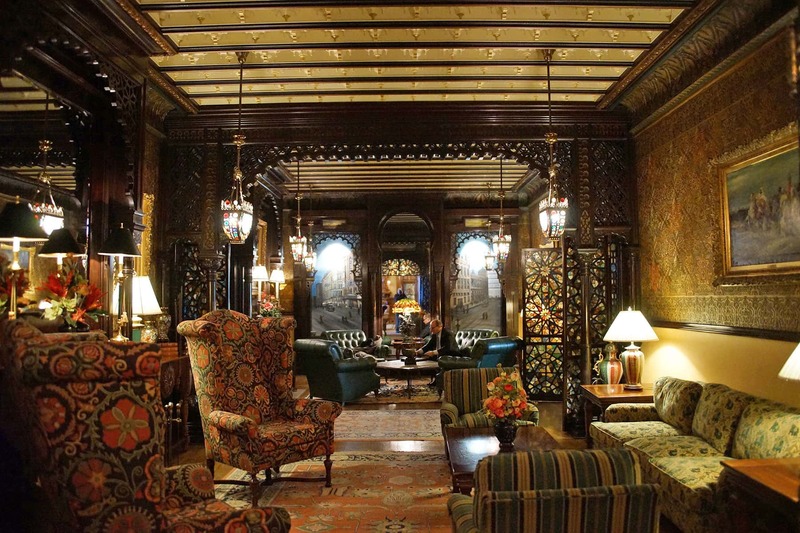 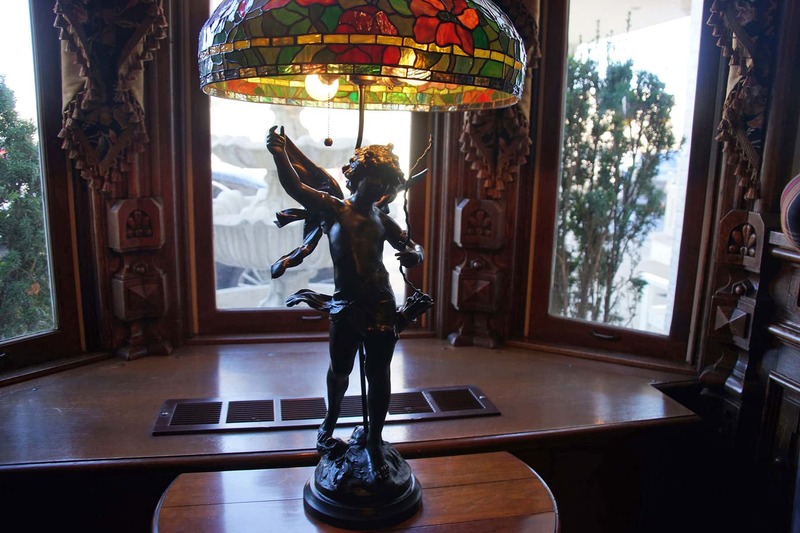 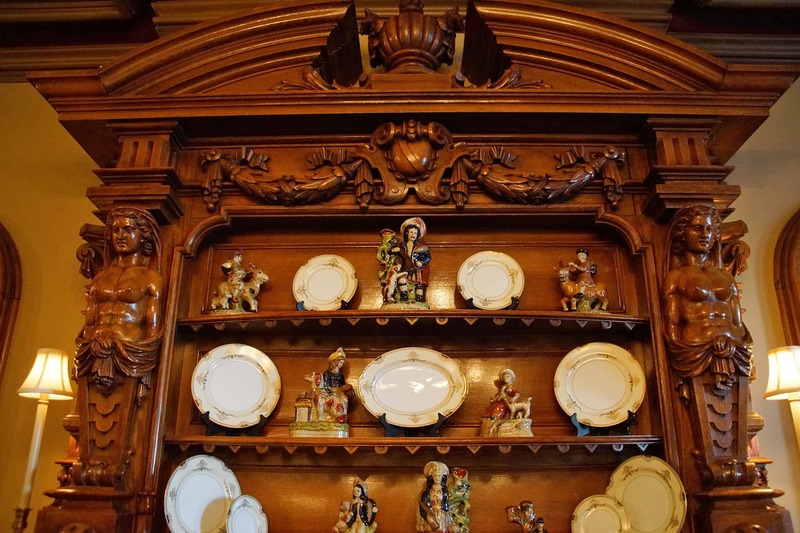 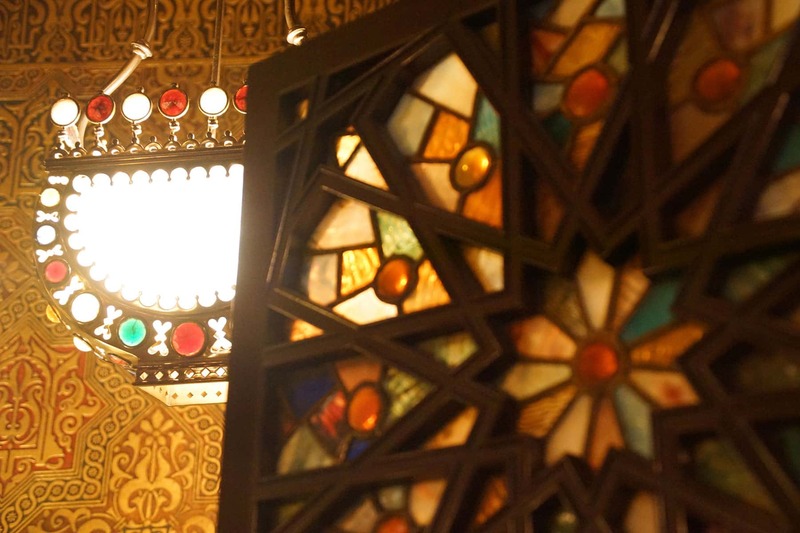 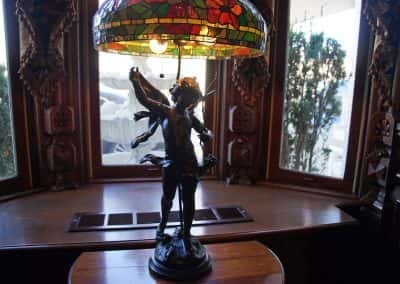 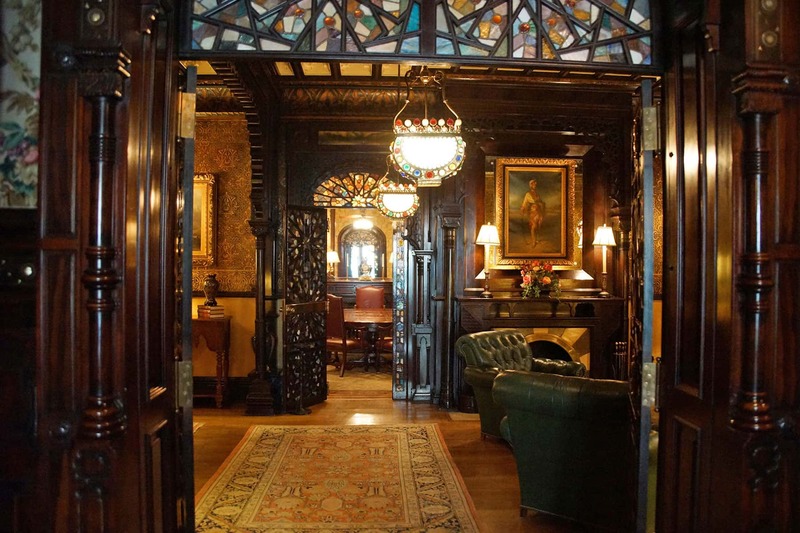 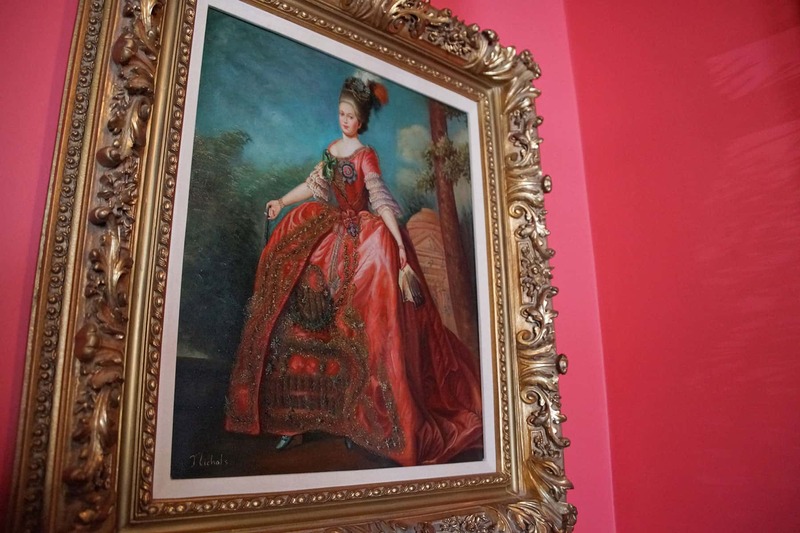 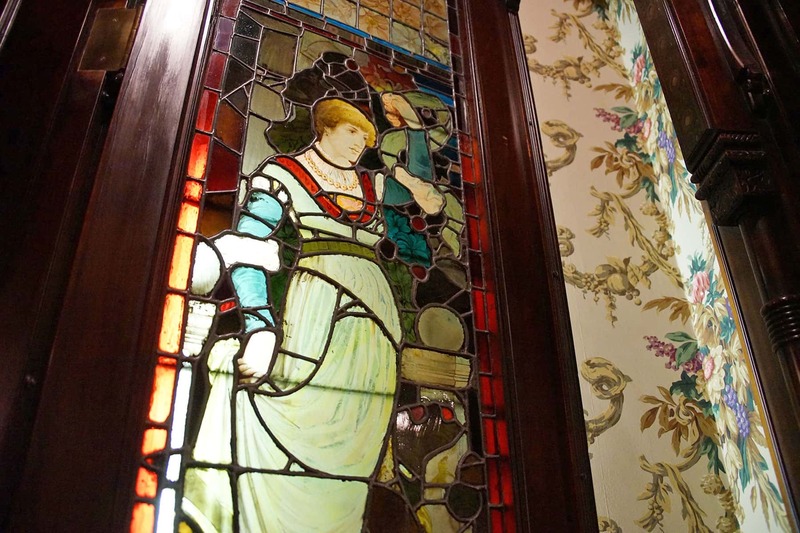 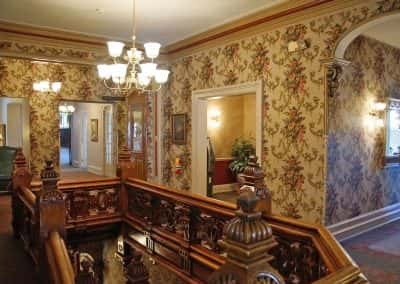 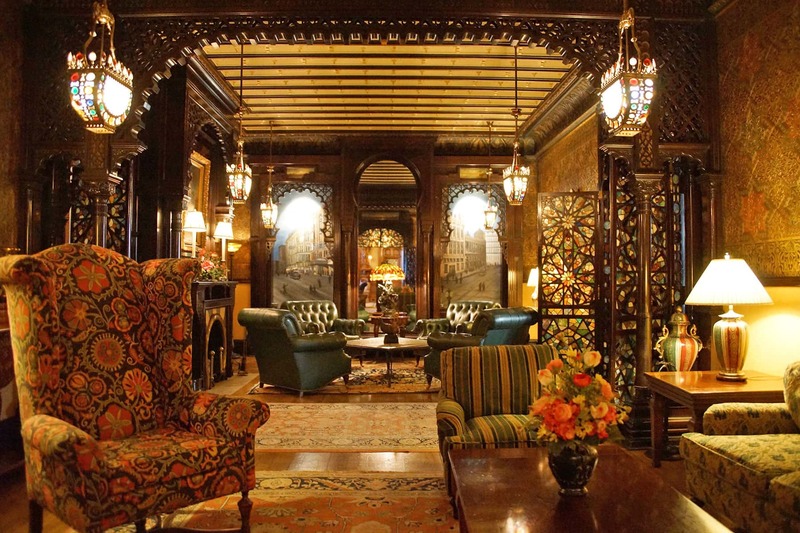 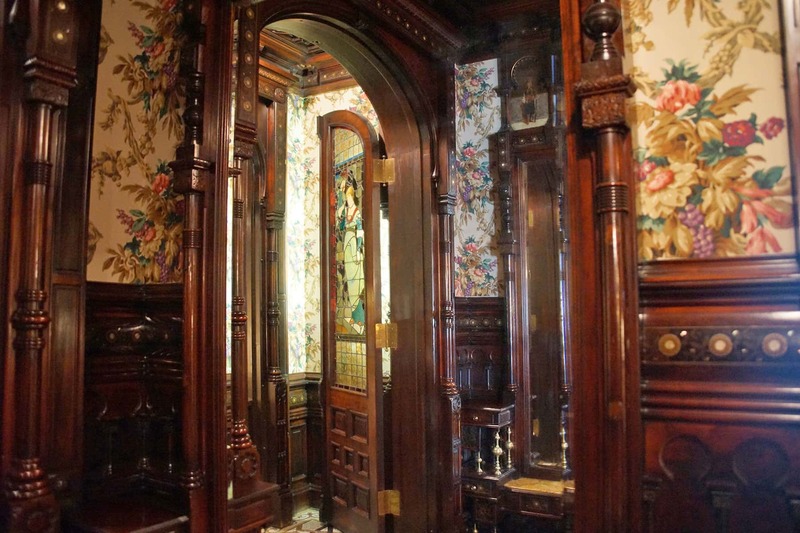 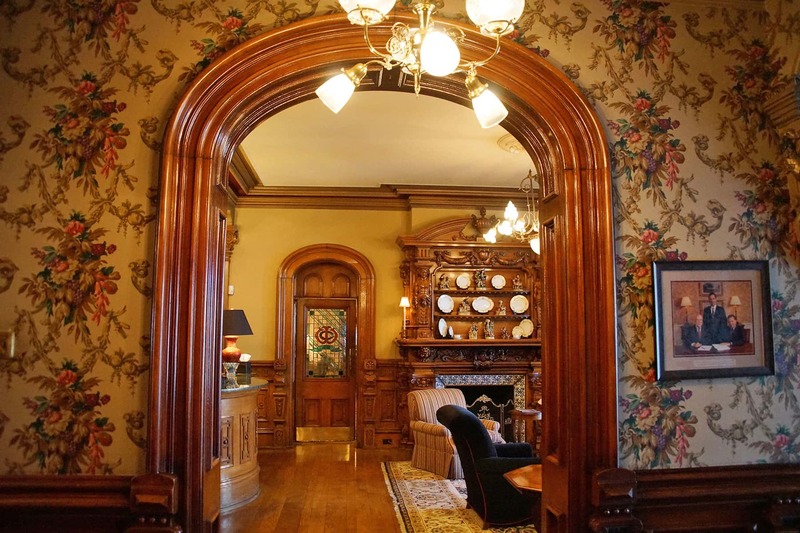 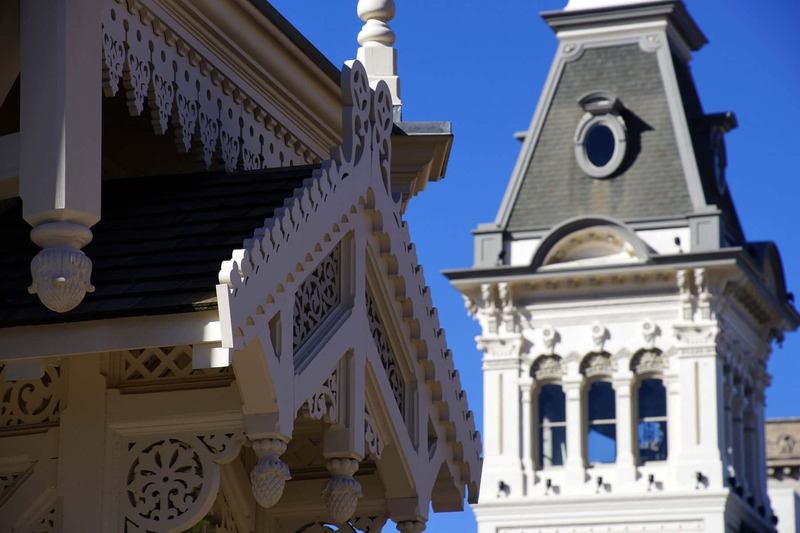 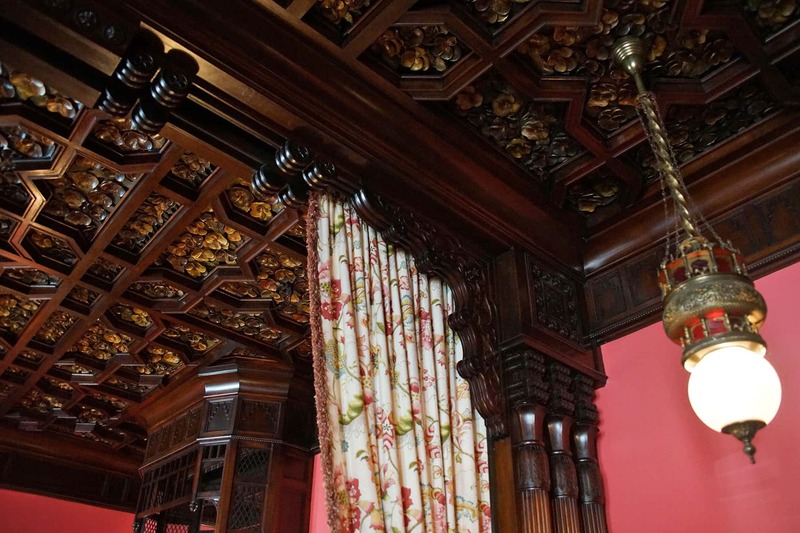 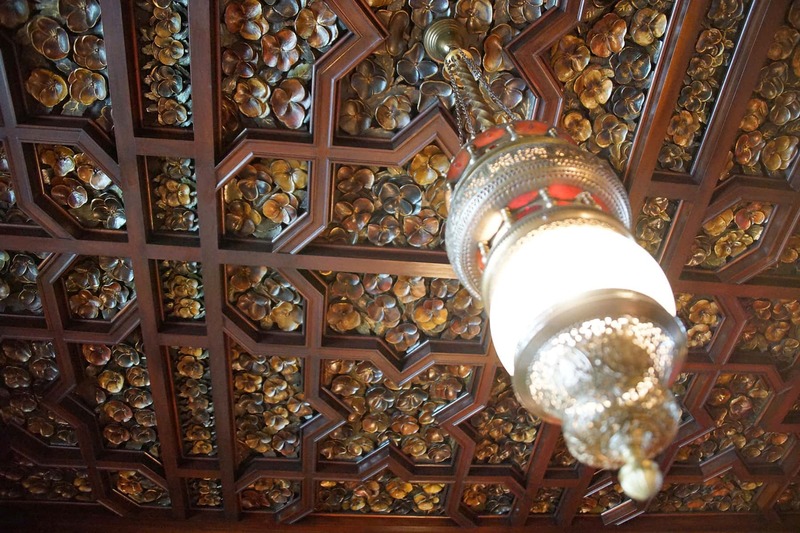 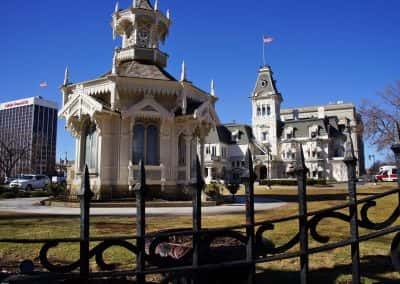 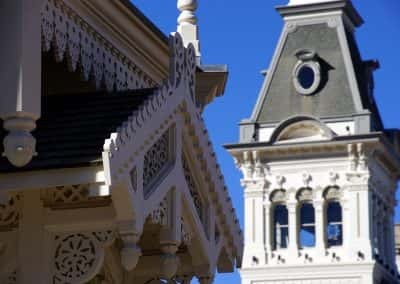 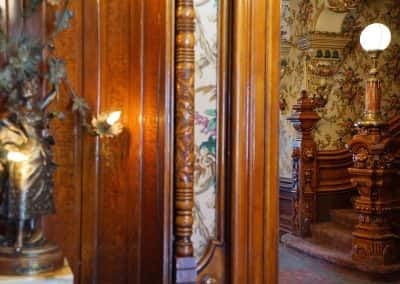 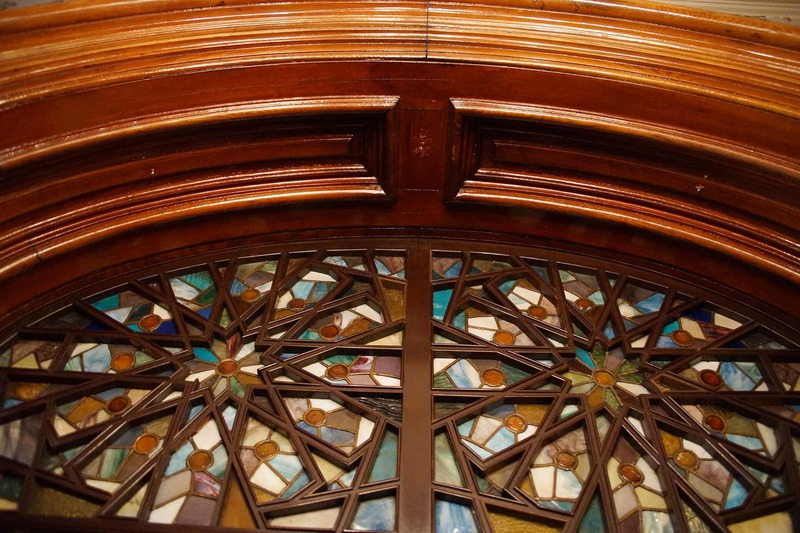 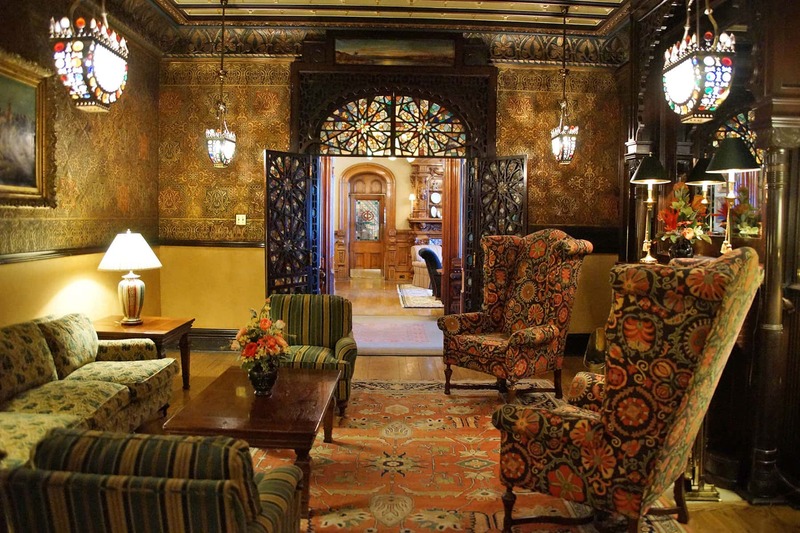 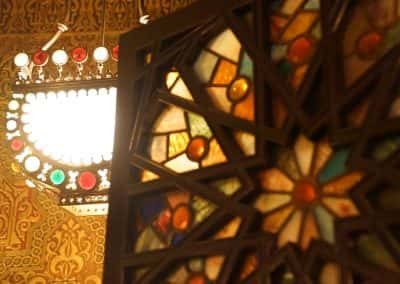 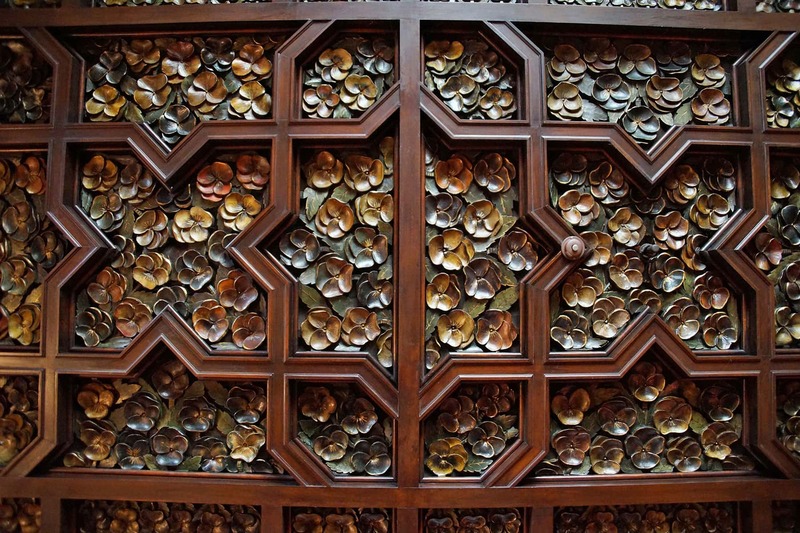 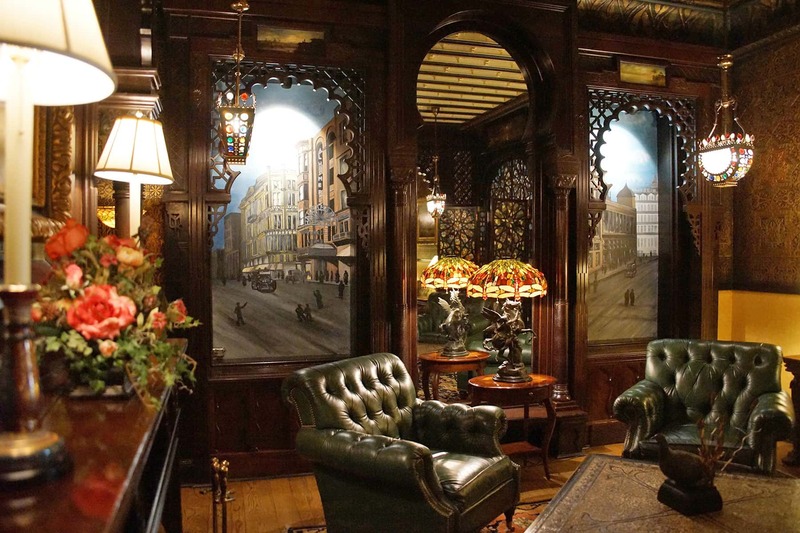 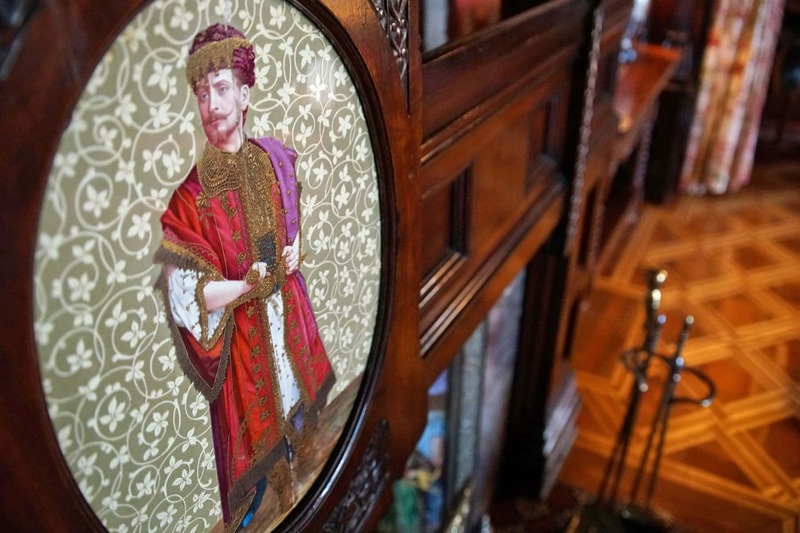 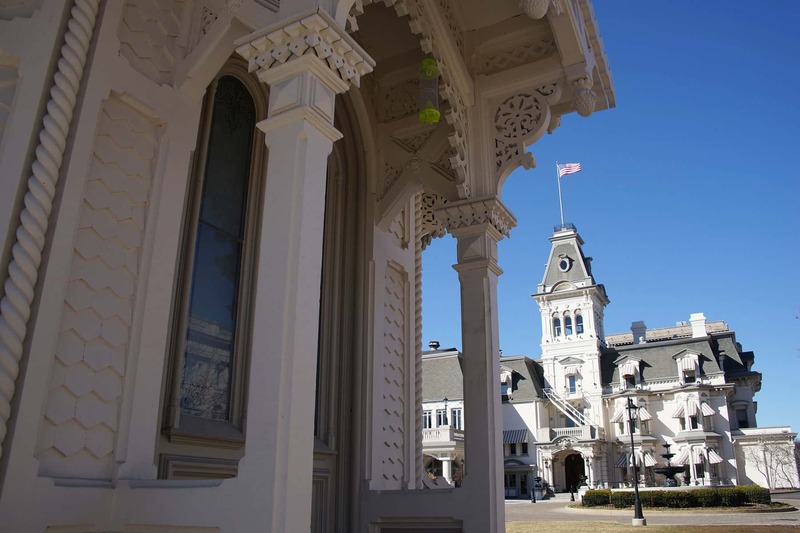 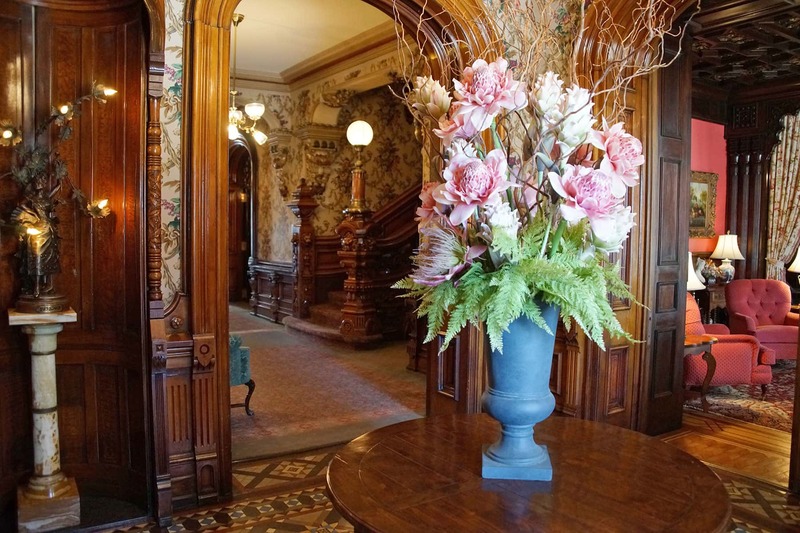 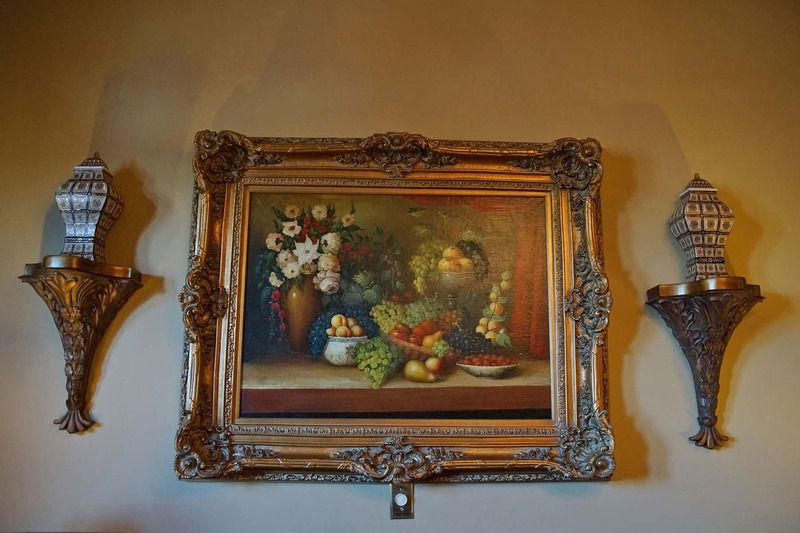 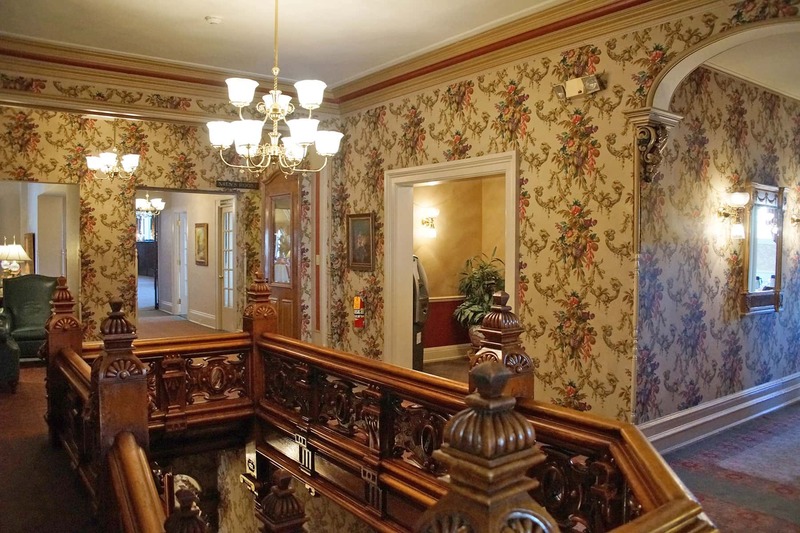 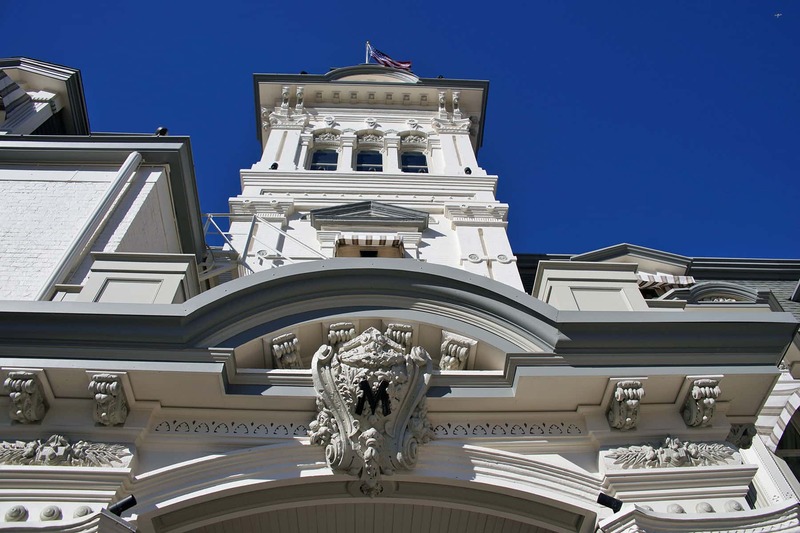 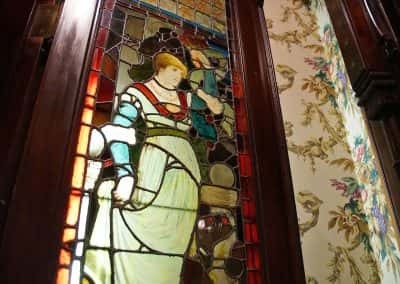 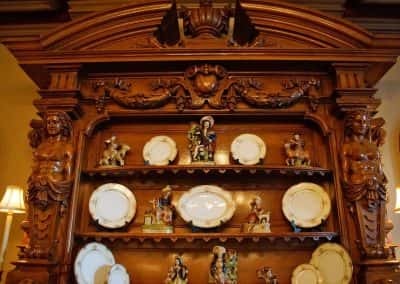 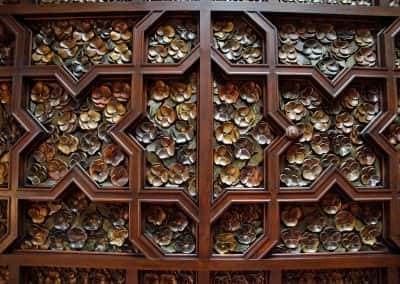 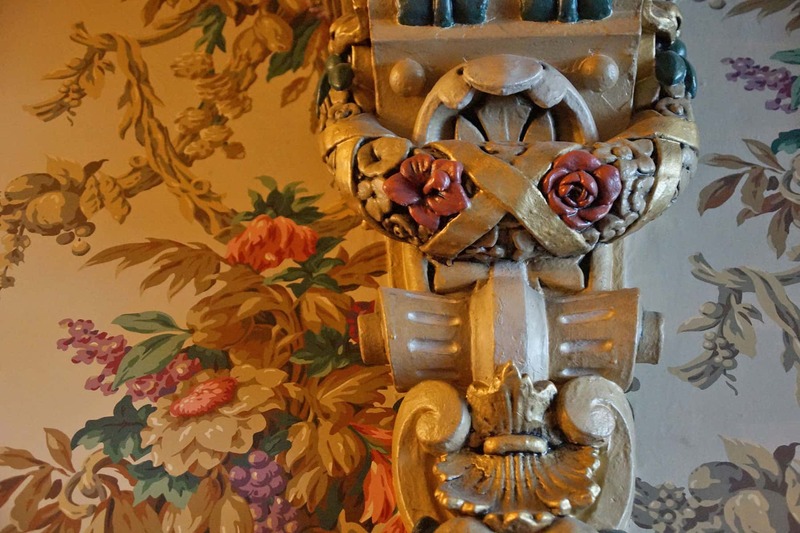 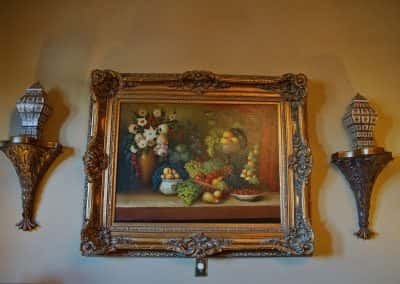 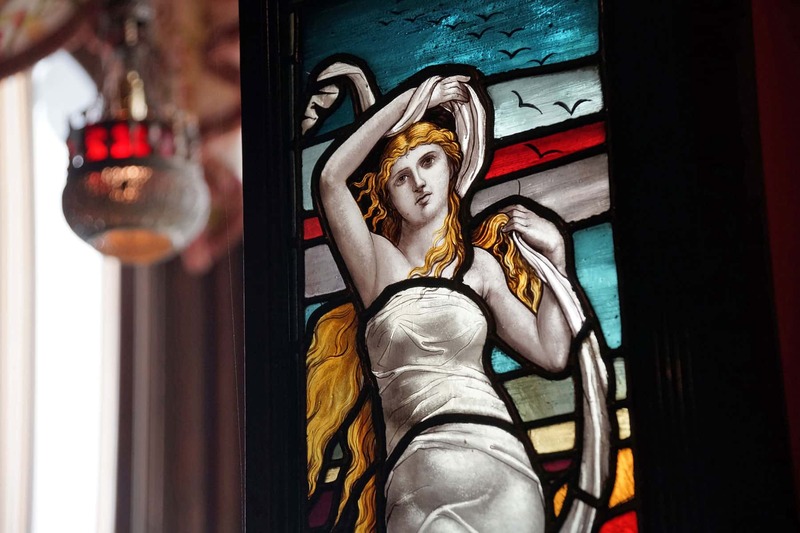 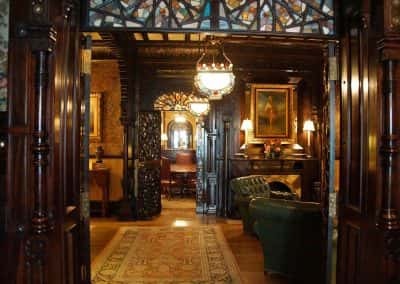 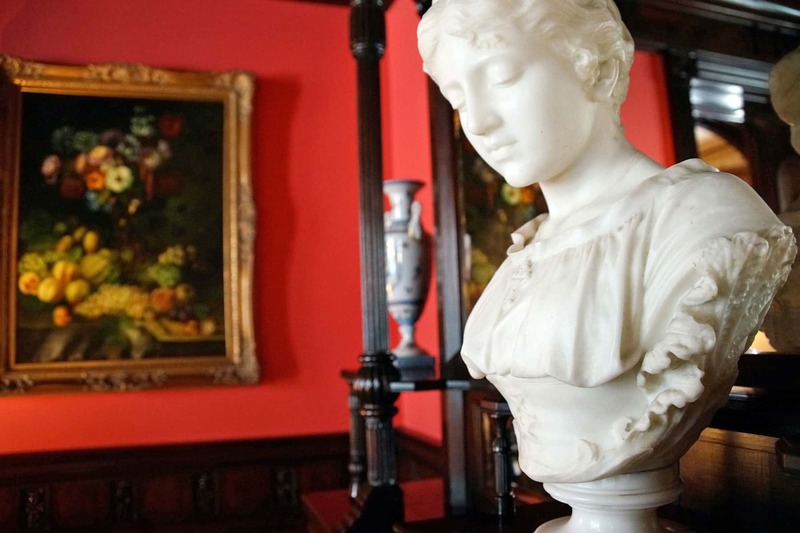 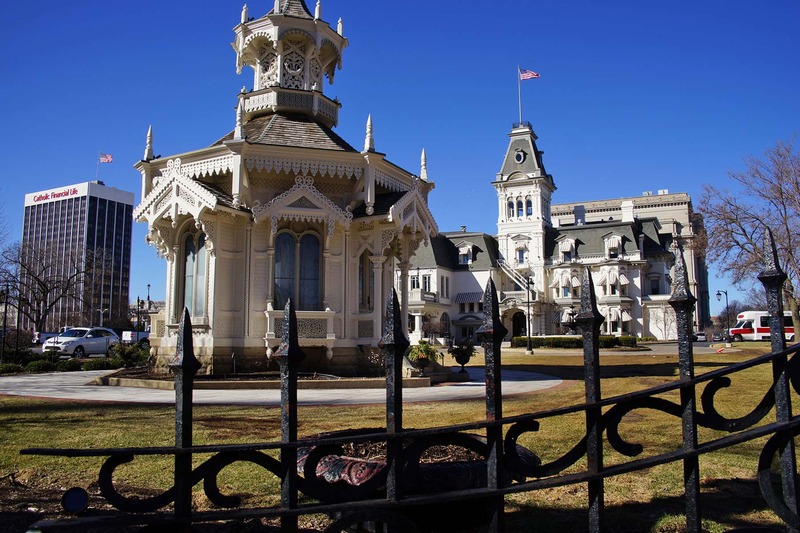 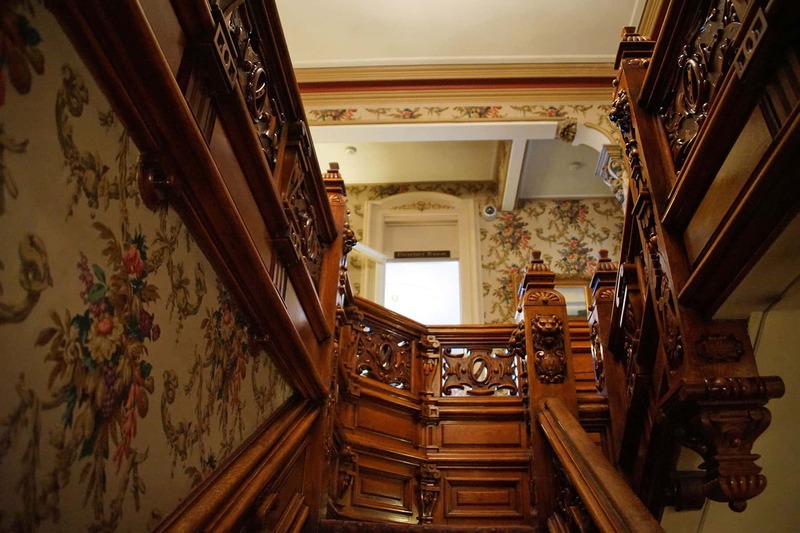 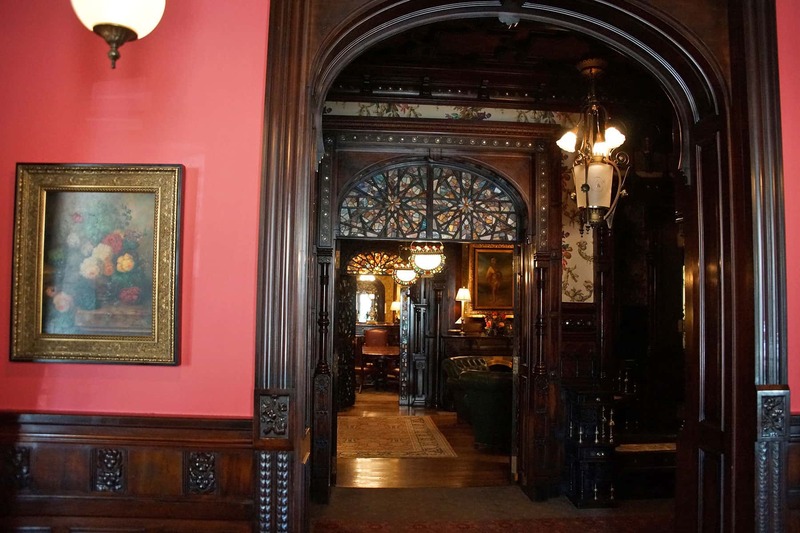 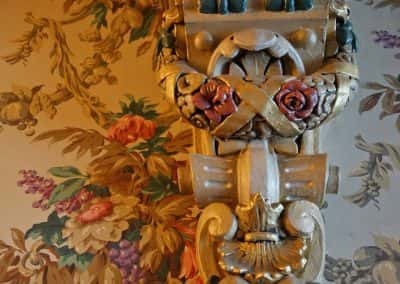 Artists from Europe were commissioned to adorn the interior of the Mitchell home with elaborate hand carved mahogany woodwork, stained glass, plaster, and inlaid tile. 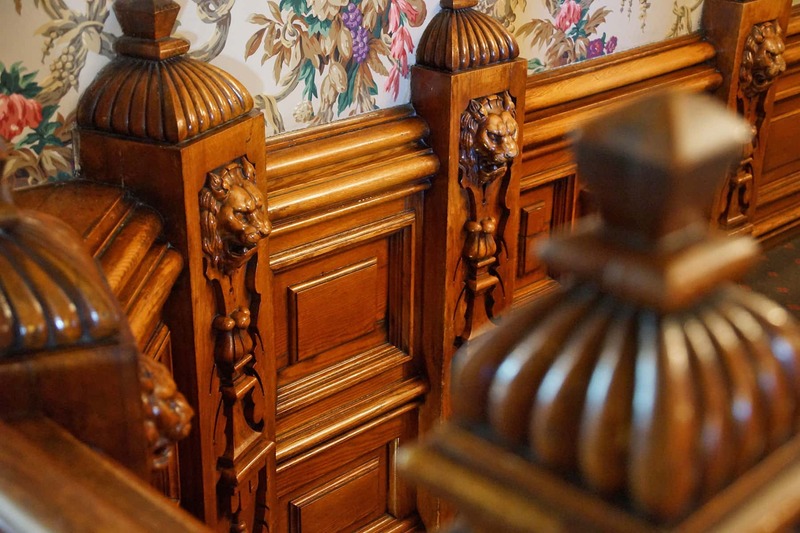 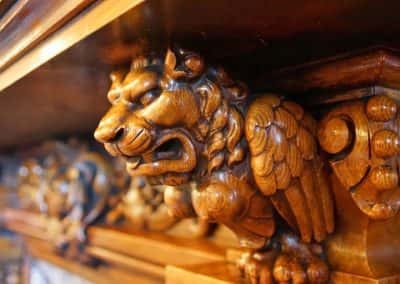 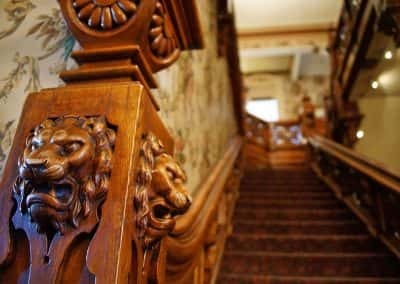 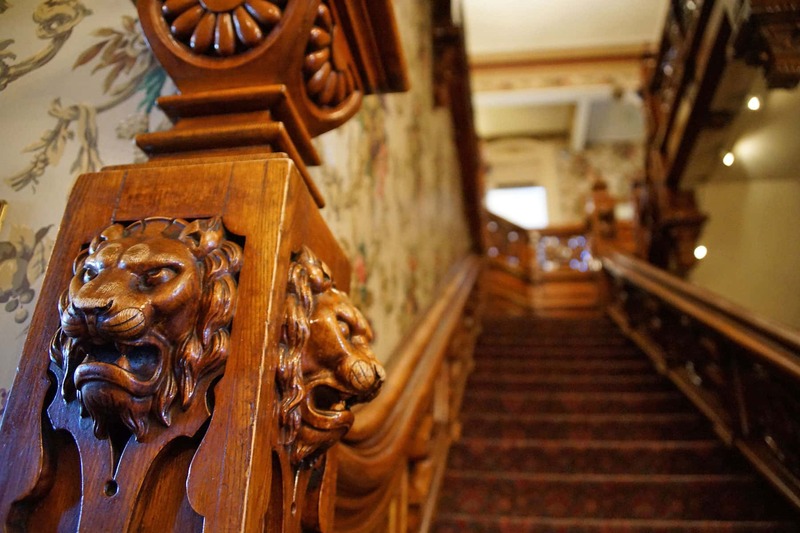 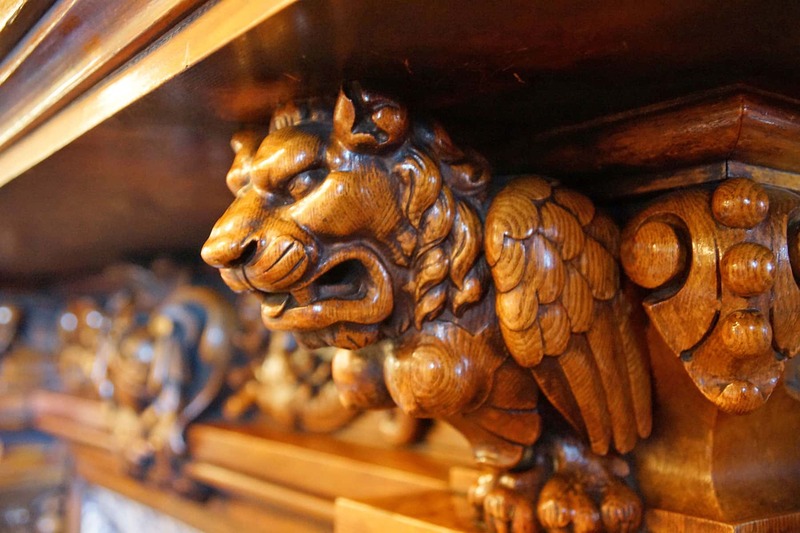 The Grand Staircase in the East Hall of the house, has twenty-four lion heads that took a single craftsman seven years to produce. 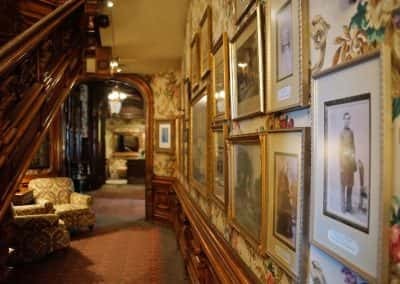 Shortly after the sudden death of Alexander Mitchell in 1887, the property was sold for $100,000 to the Deutscher Club. 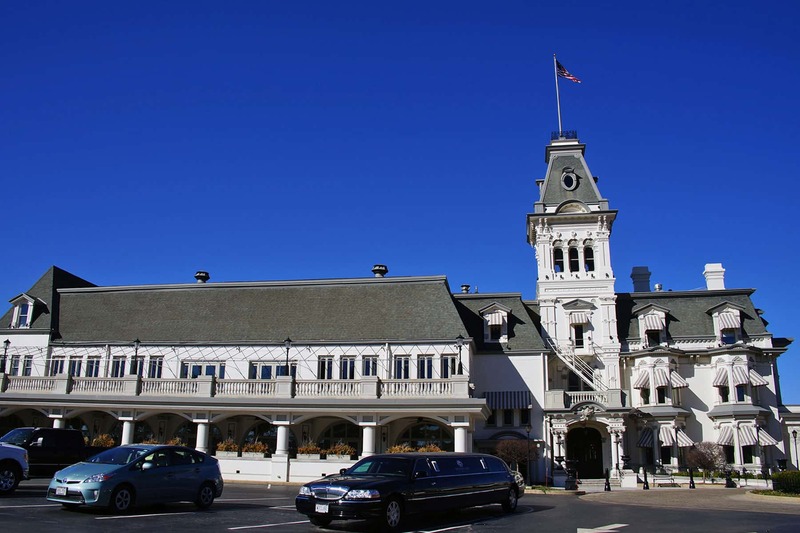 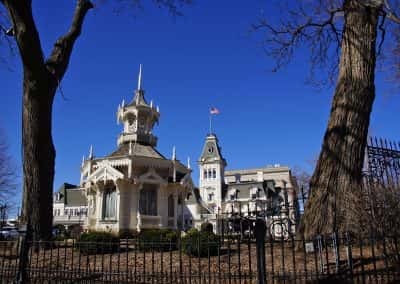 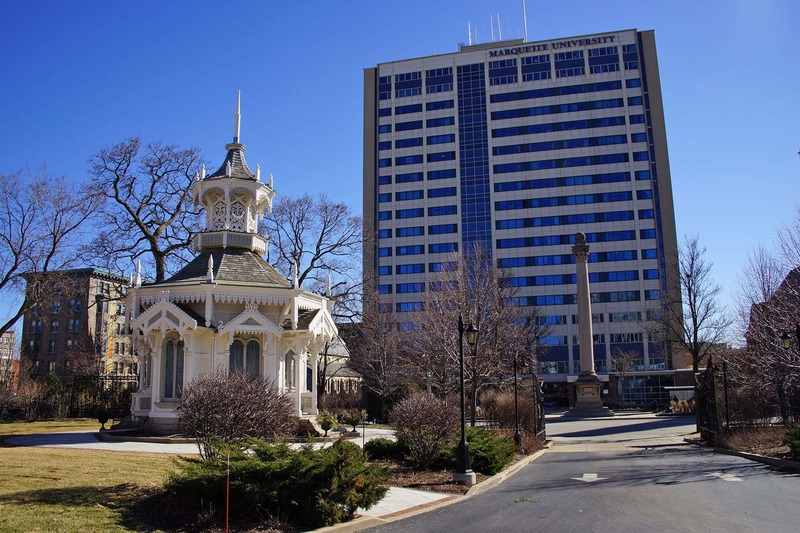 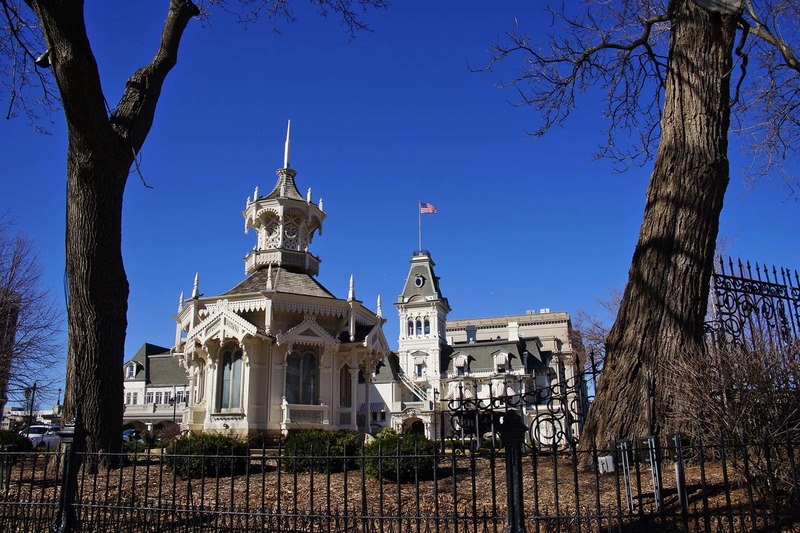 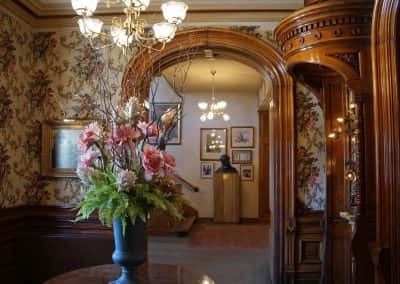 The social club had been created in 1891 with the purpose to promote and provide a venue for German-American understanding and fellowship, a reflection of the large German immigrate community in Milwaukee at the end of the nineteenth century. 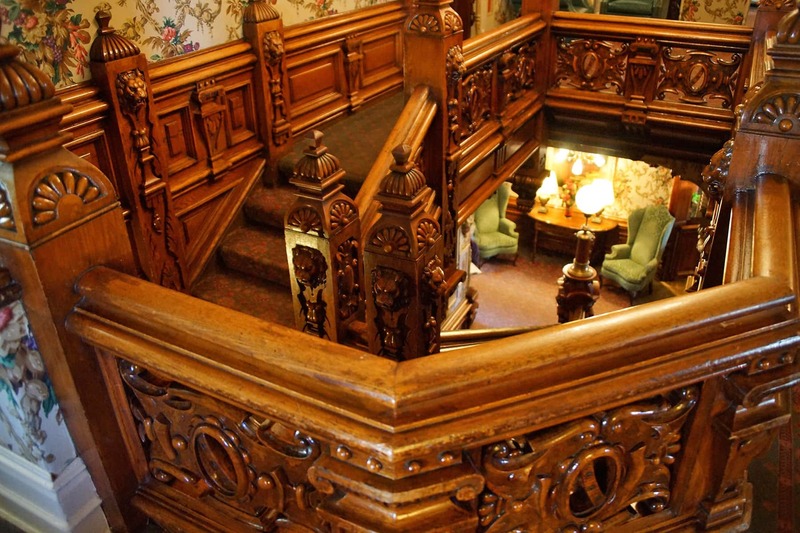 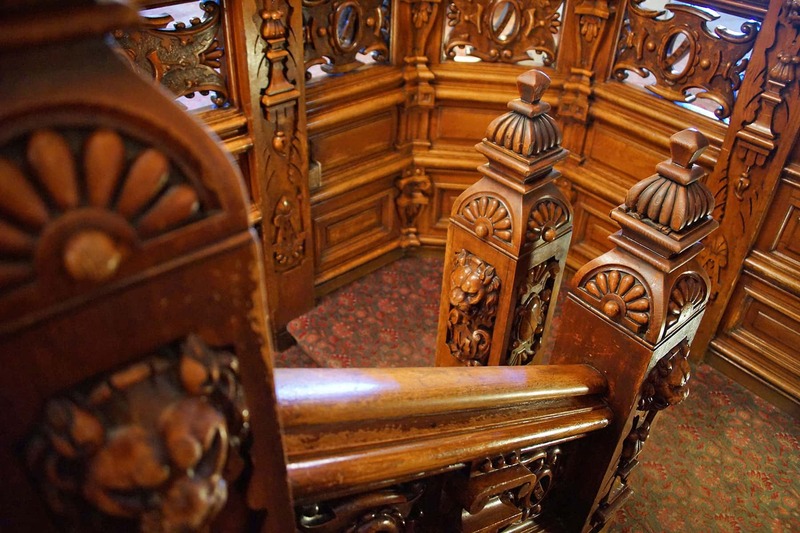 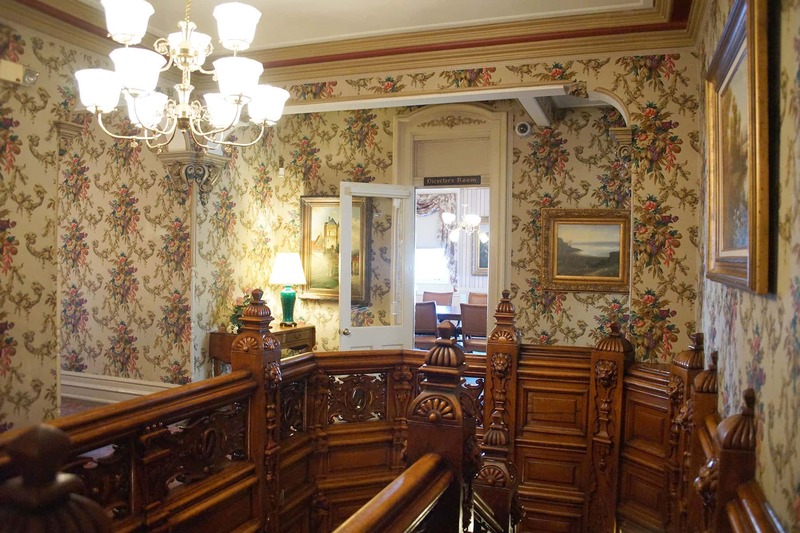 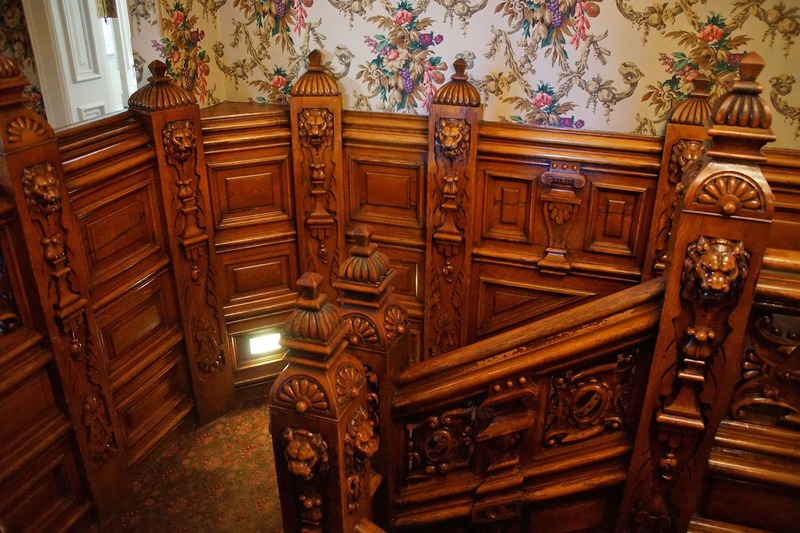 The ‘Deutscher’ or ‘German’ Club opened its doors within the Mitchell House in 1895. 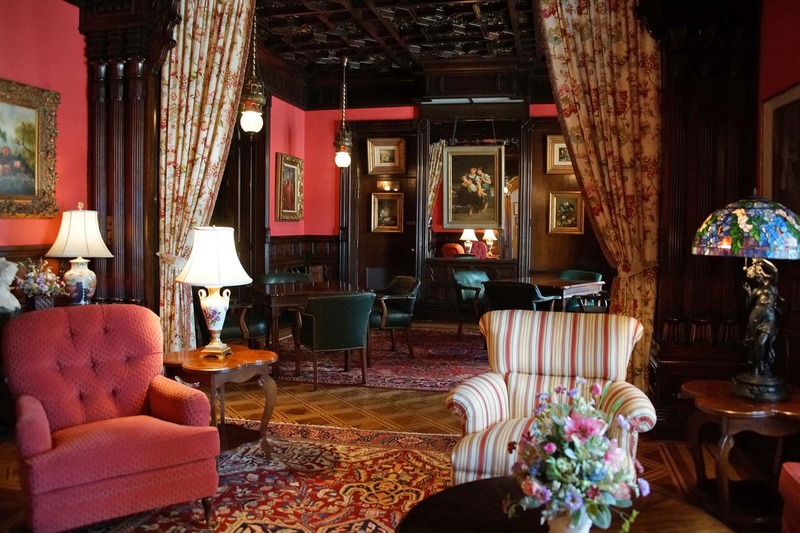 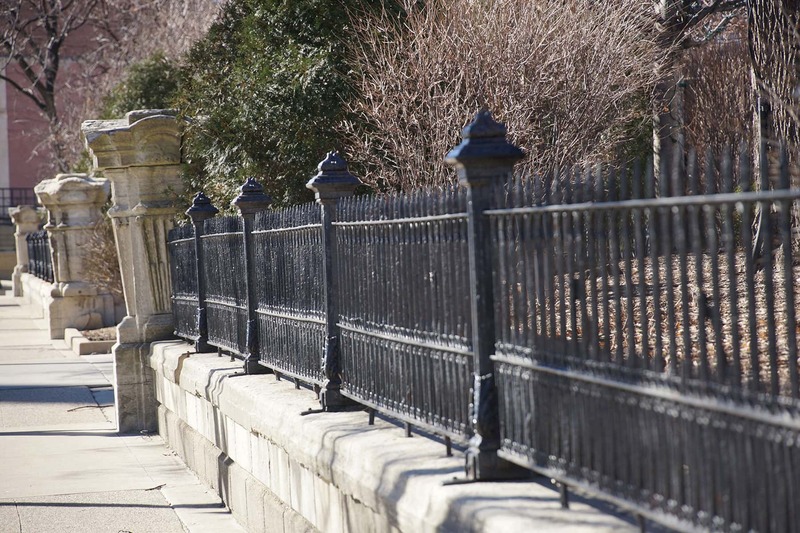 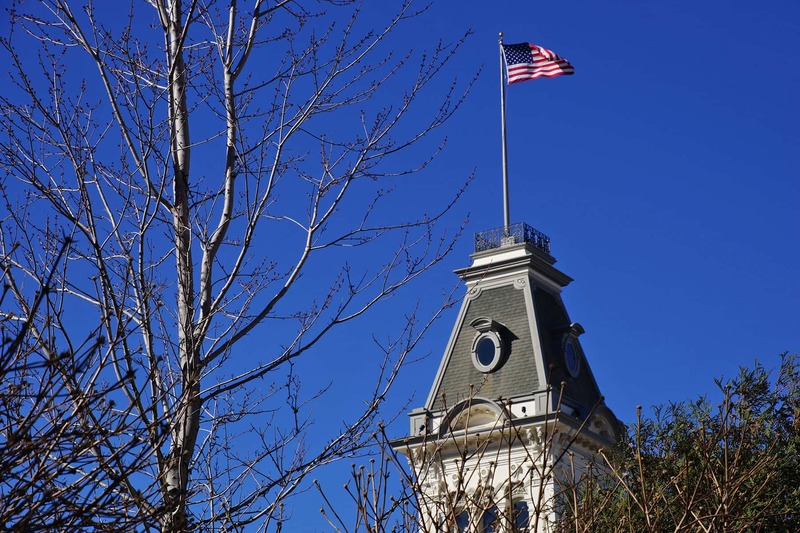 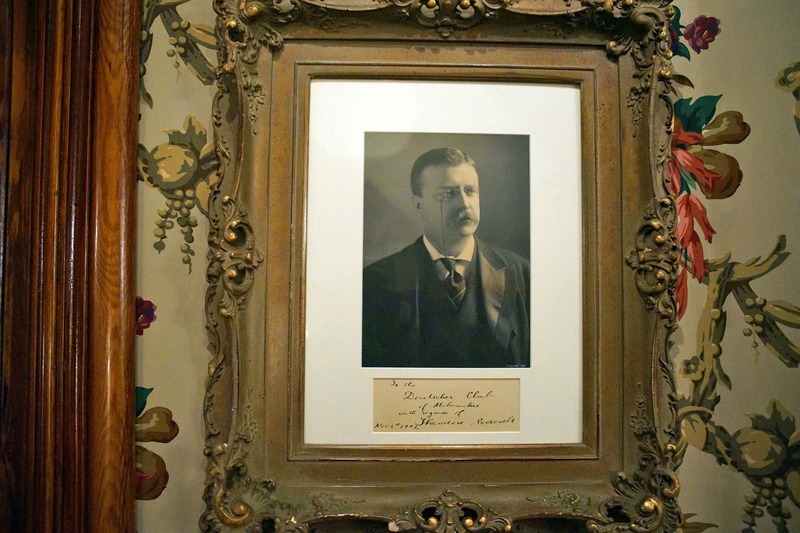 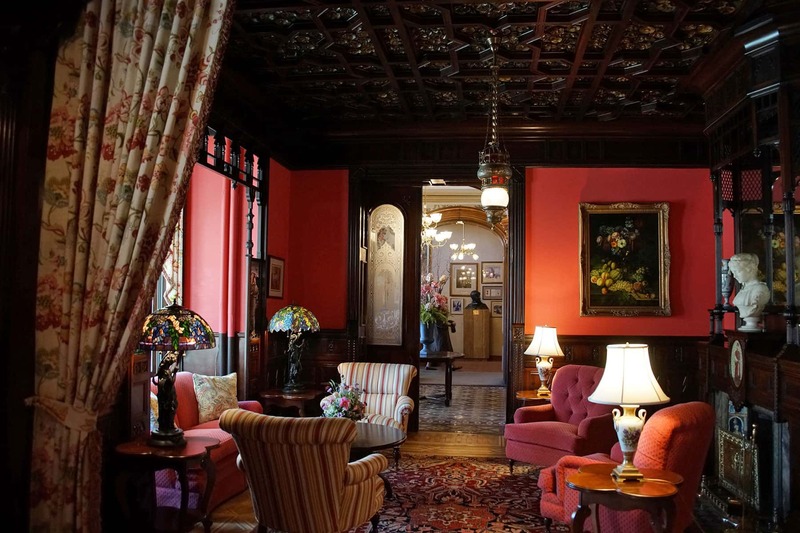 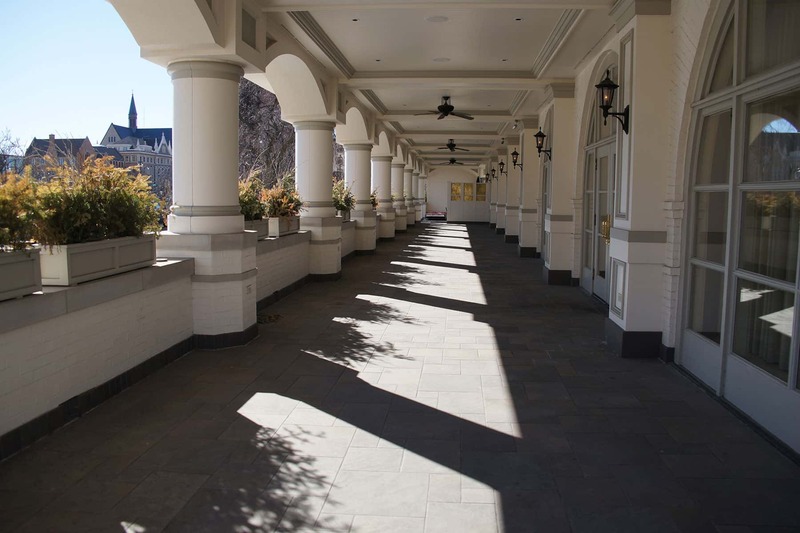 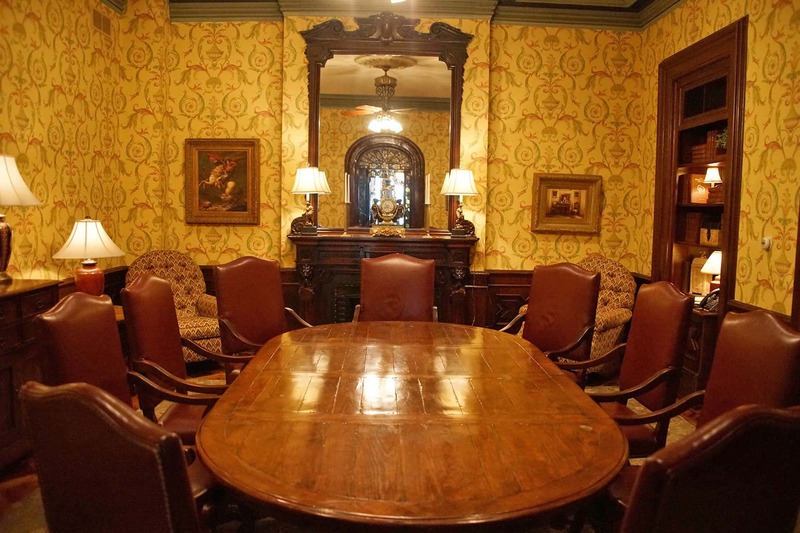 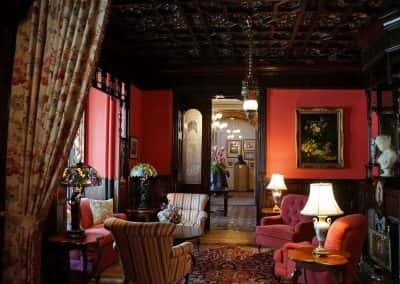 The Club was highly regarded, and in 1903 it welcomed a visit by President Theodore Roosevelt. 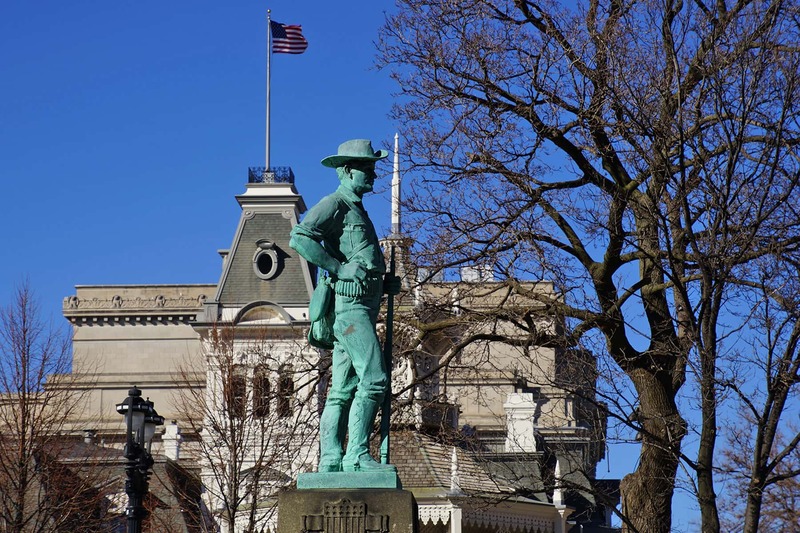 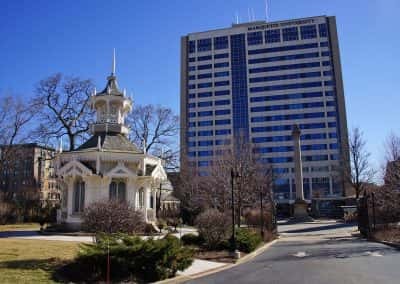 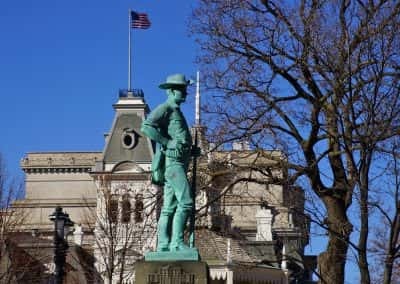 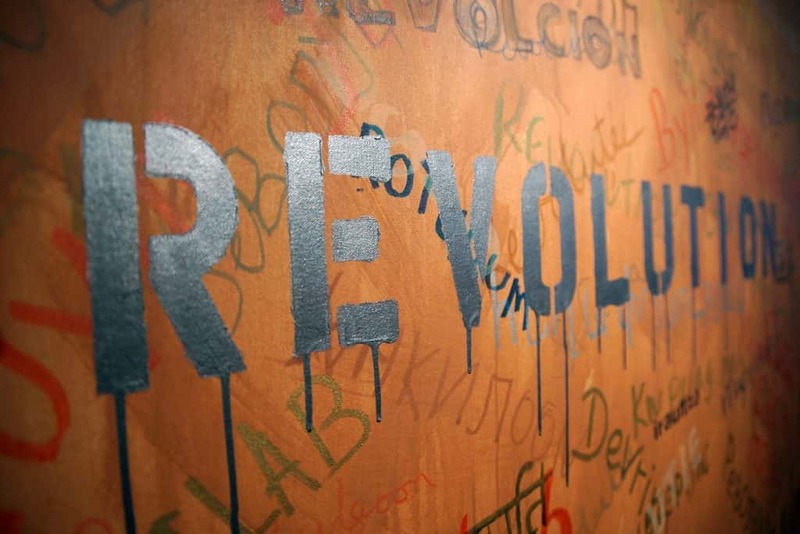 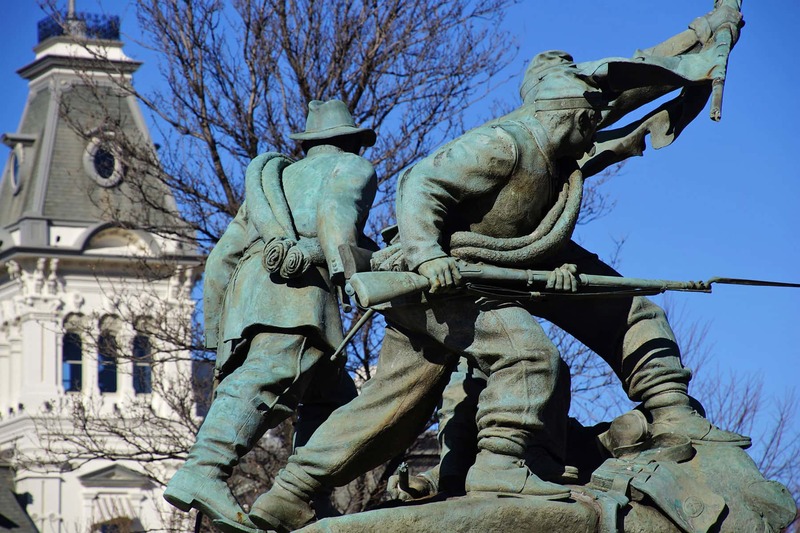 But with the World War I era animosity towards Germans that followed in the subsequent years, many buildings and institutions around Milwaukee were renamed. 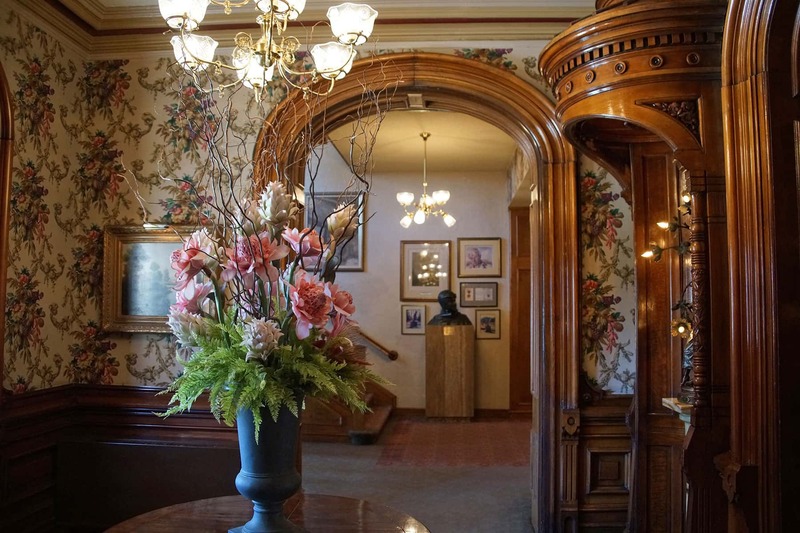 As a result, the Deutscher became the Wisconsin Club. 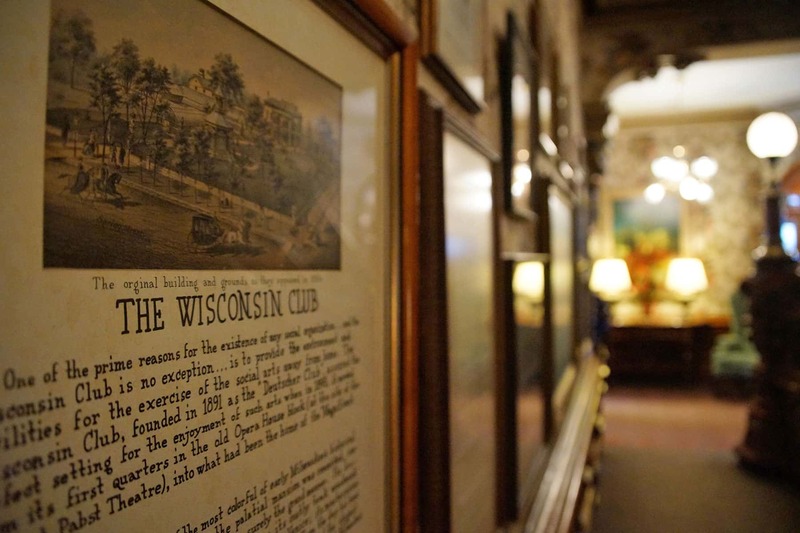 Like many private clubs across the country, the Wisconsin Club struggled over the years to retain its membership against dynamic changes in Milwaukee society. 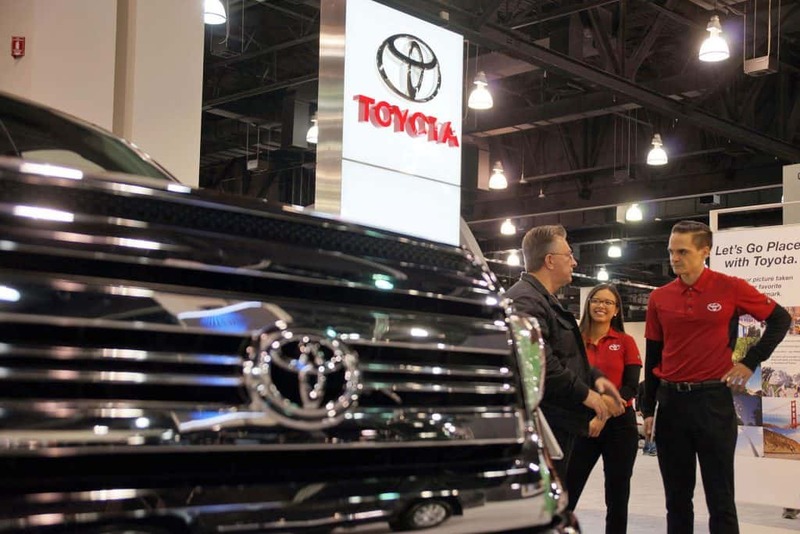 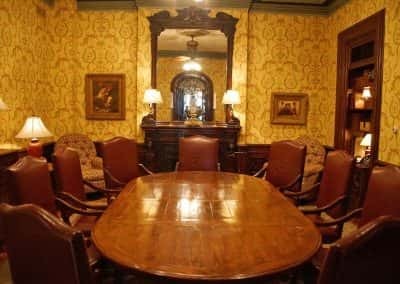 Membership from 1990 actually increased from 370 to more than 1,460 members today, at a time when most clubs continue to struggle against decline. 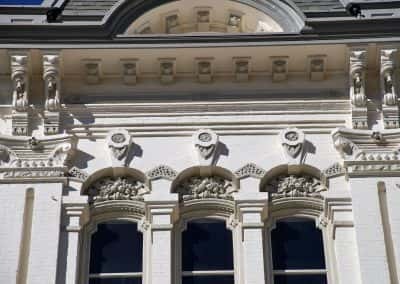 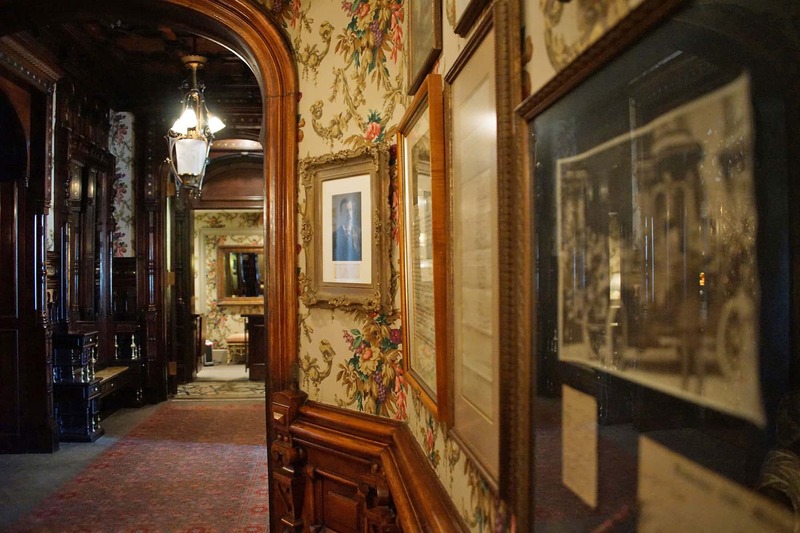 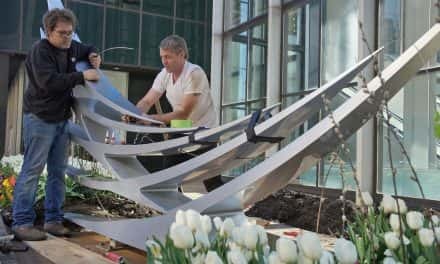 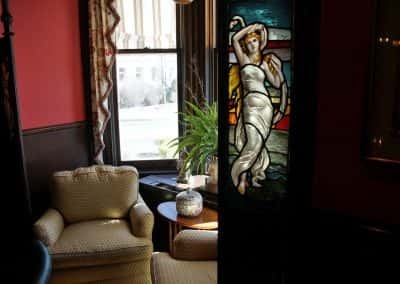 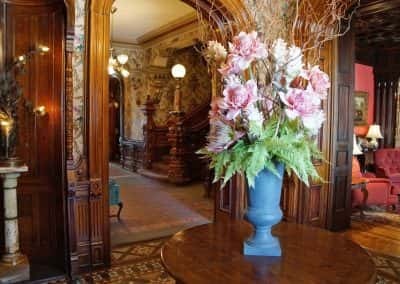 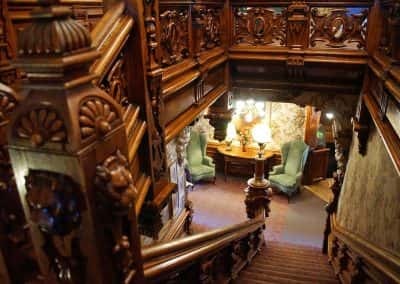 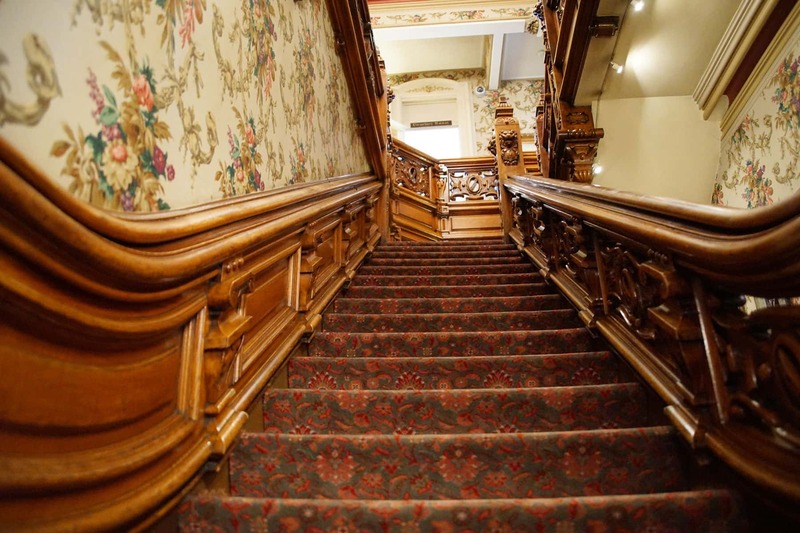 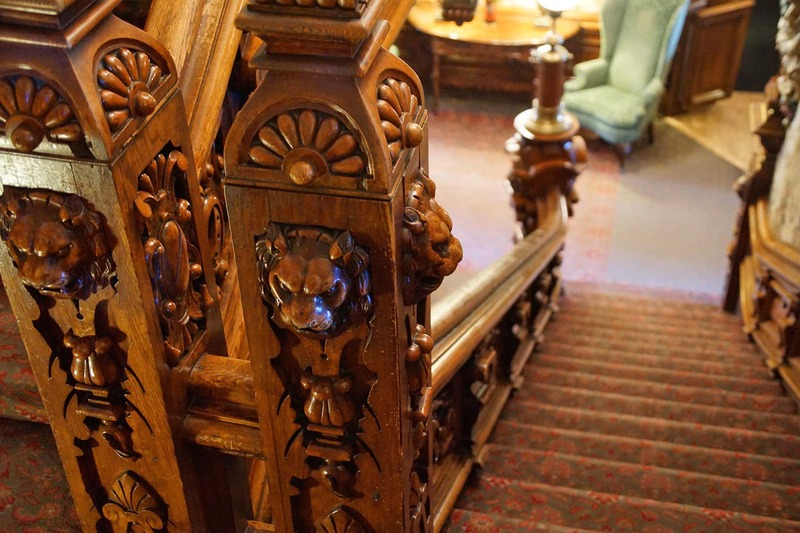 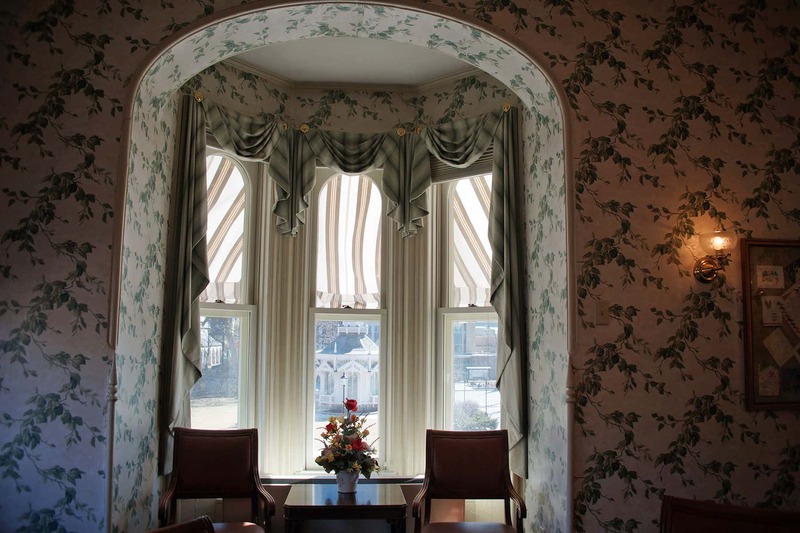 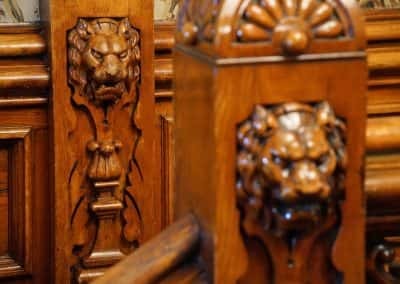 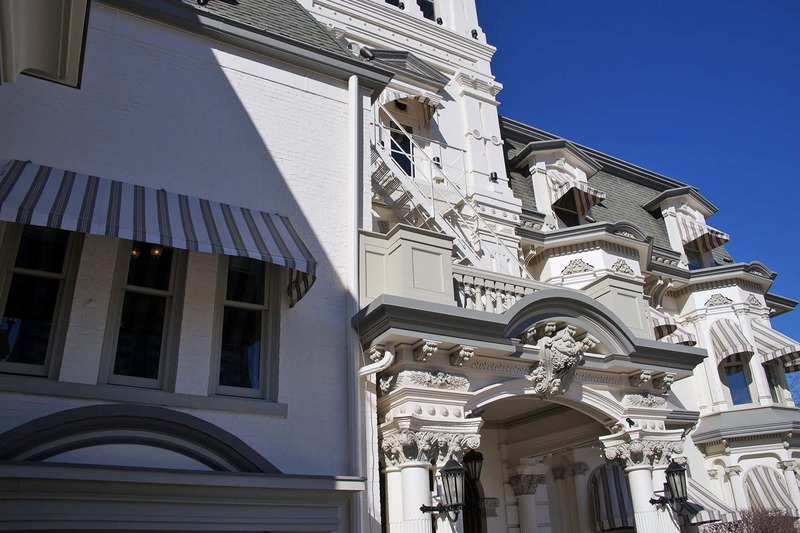 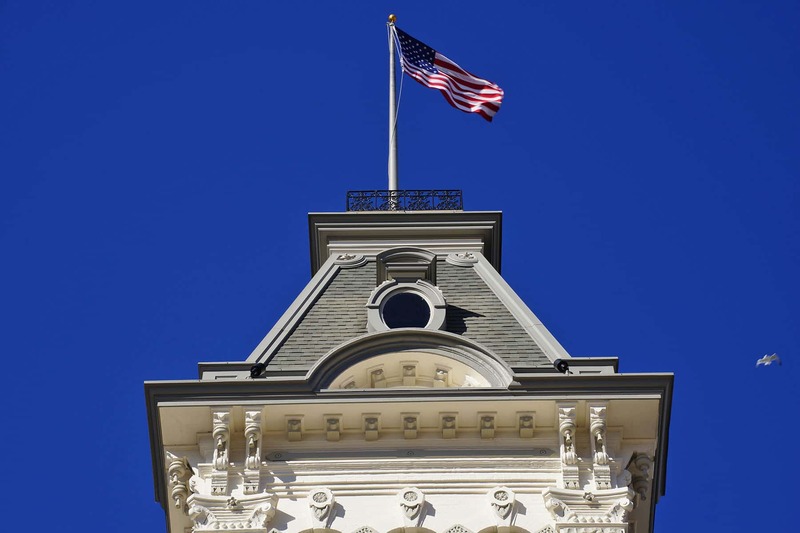 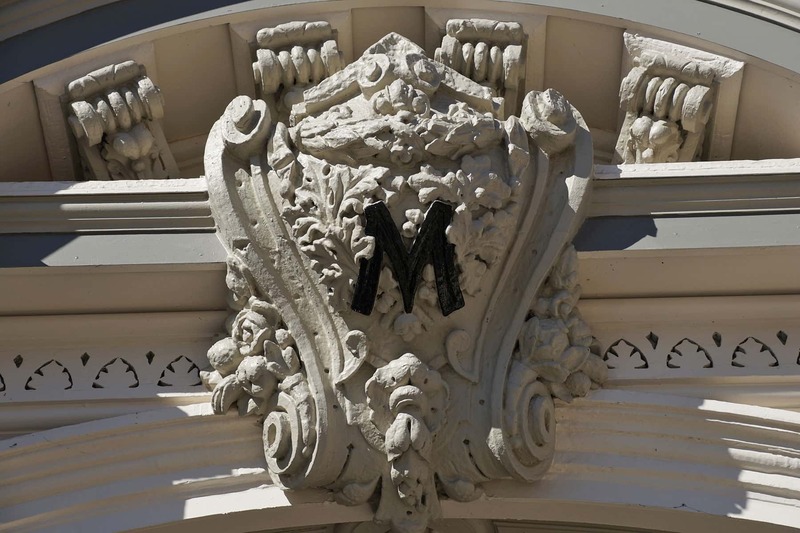 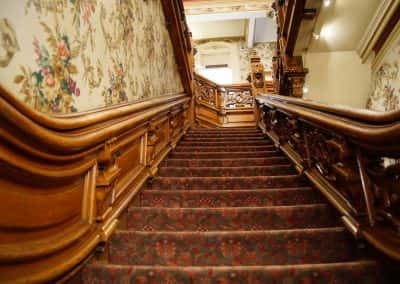 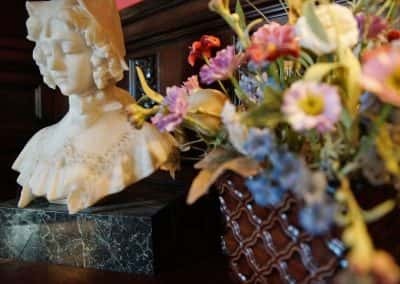 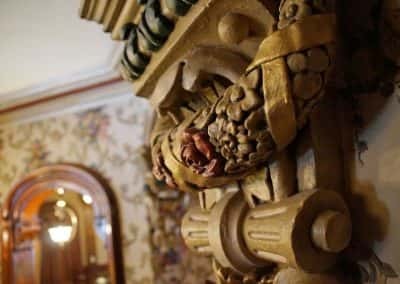 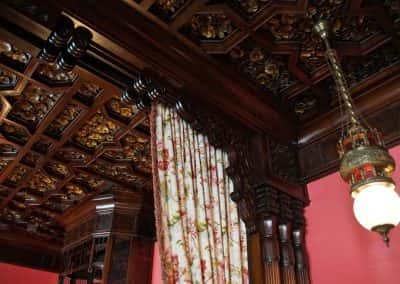 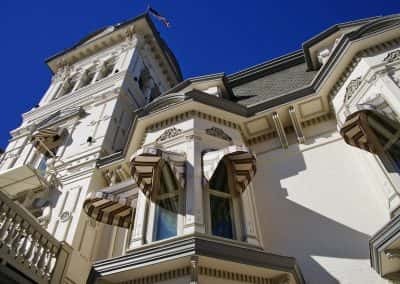 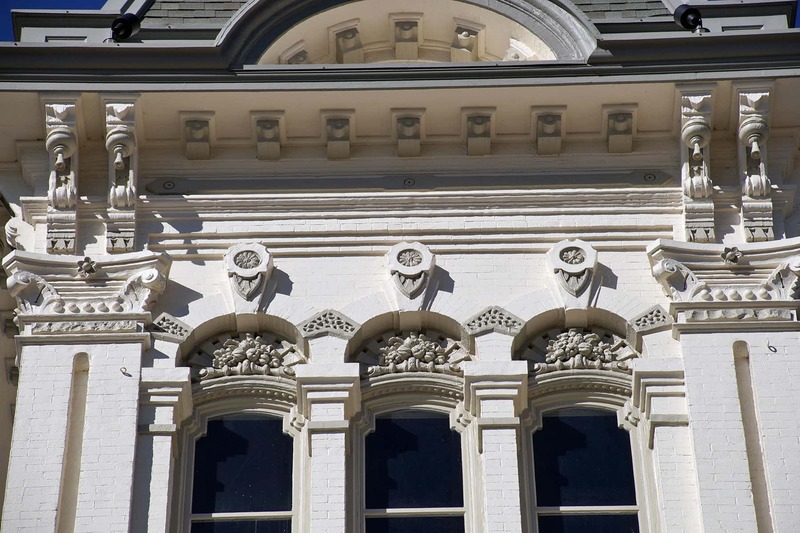 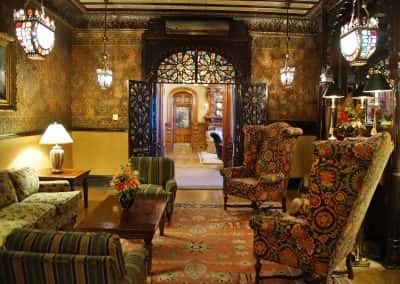 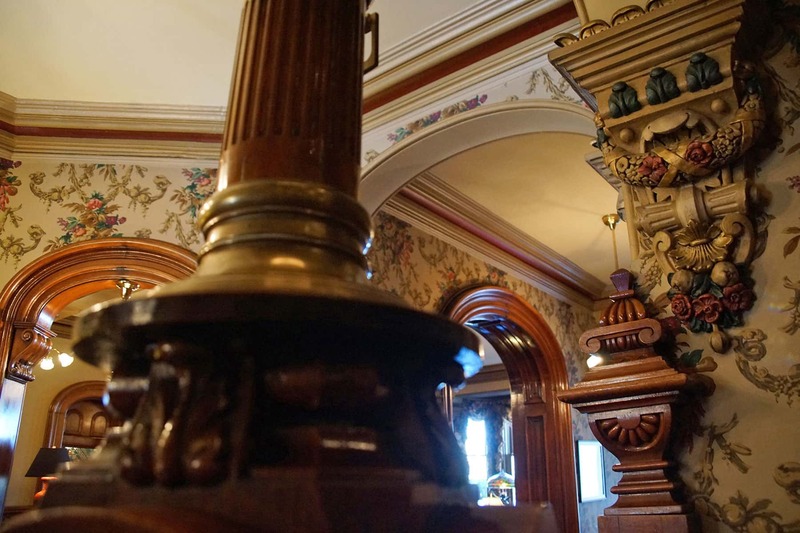 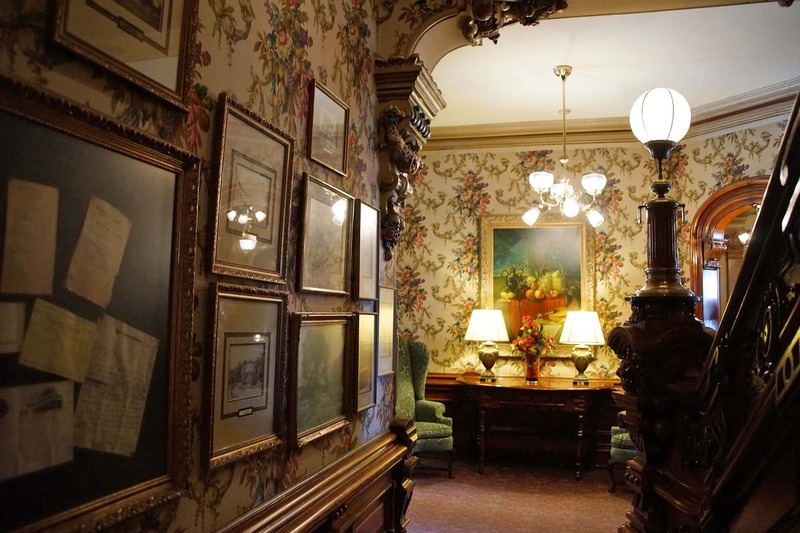 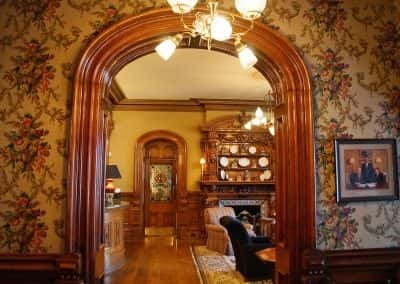 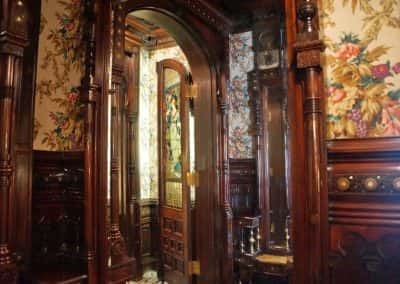 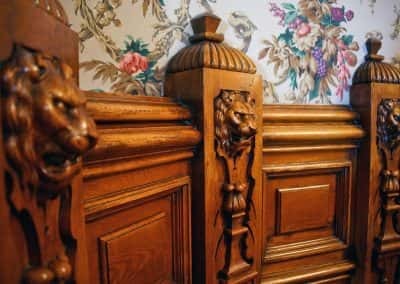 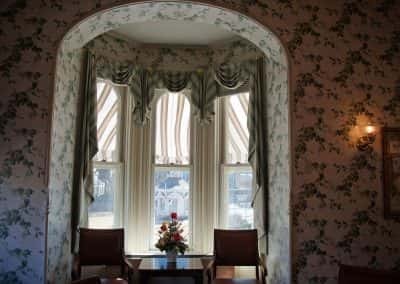 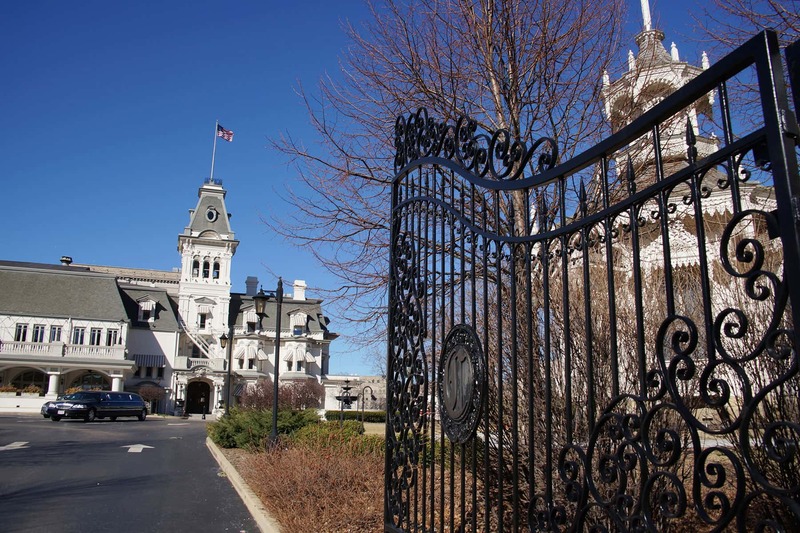 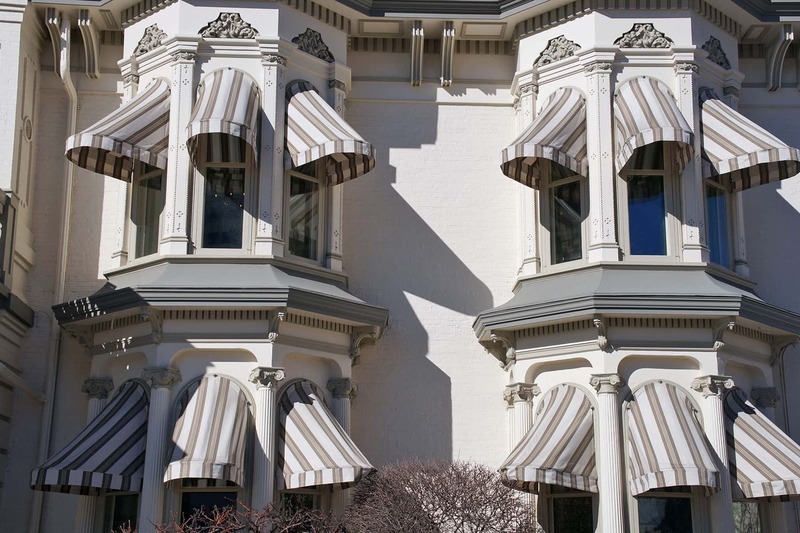 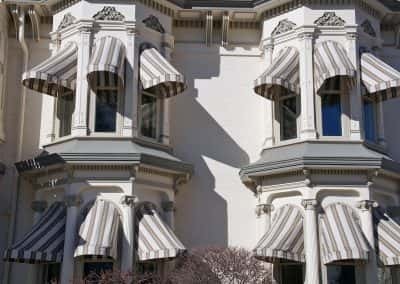 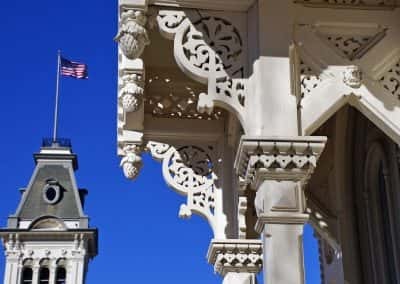 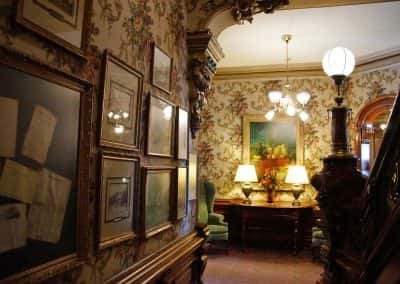 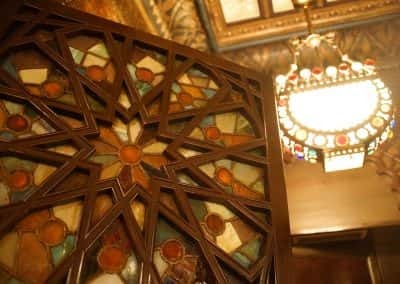 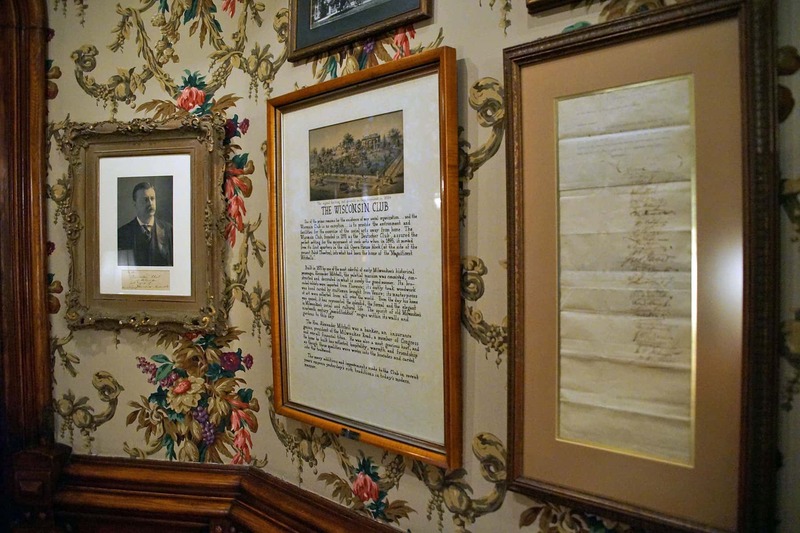 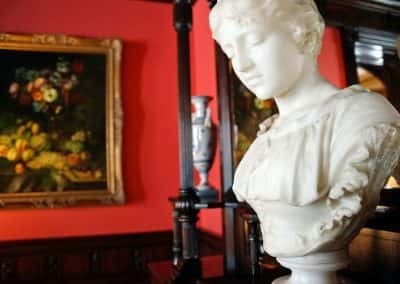 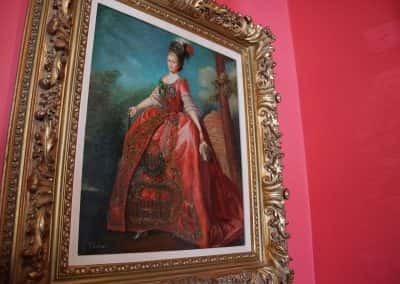 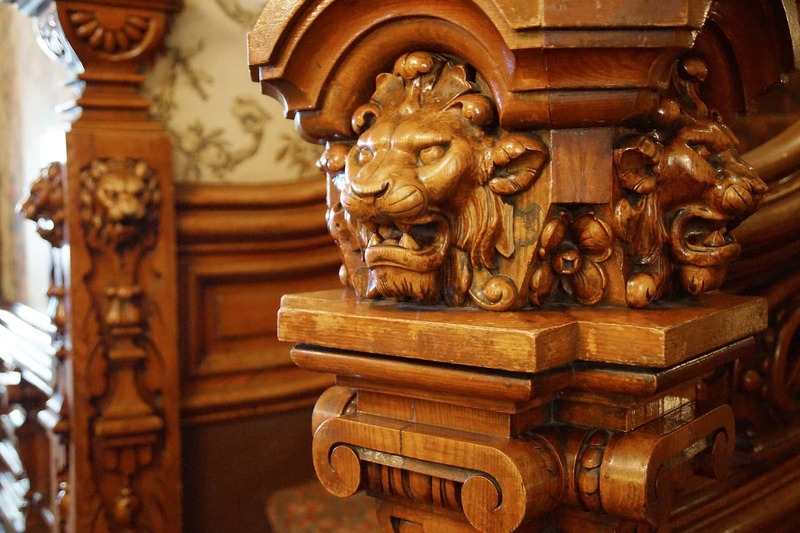 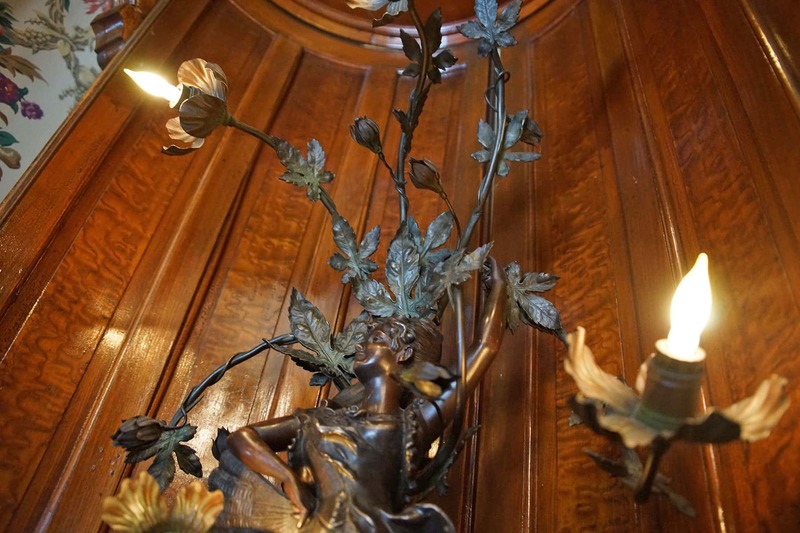 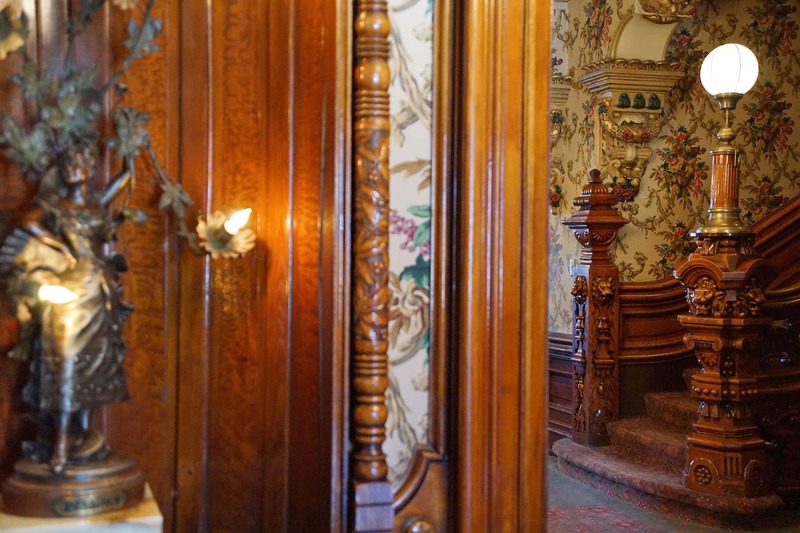 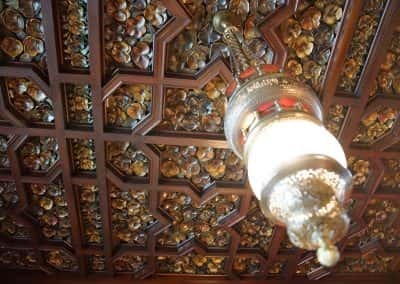 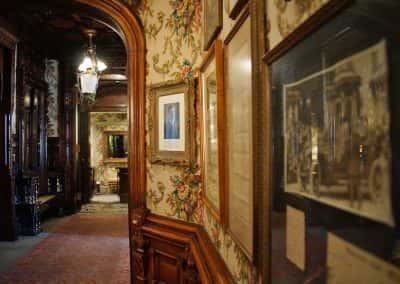 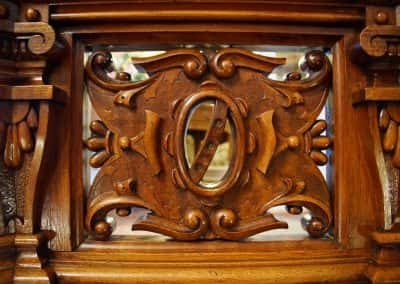 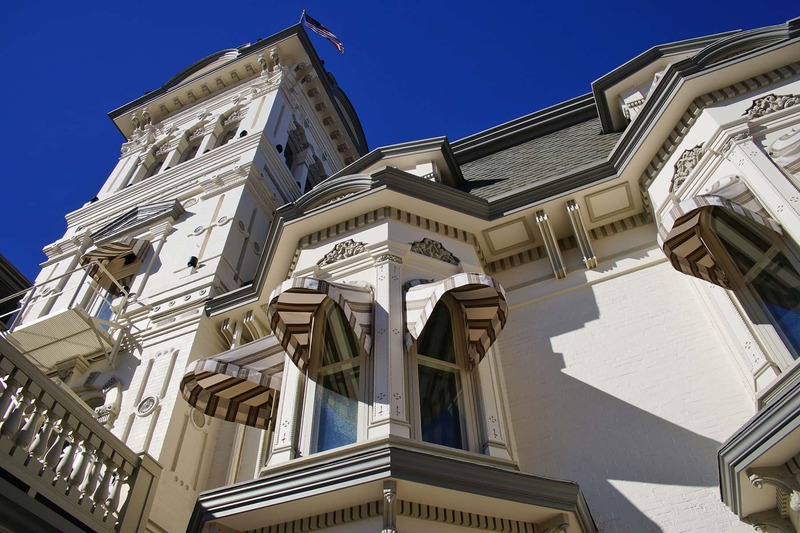 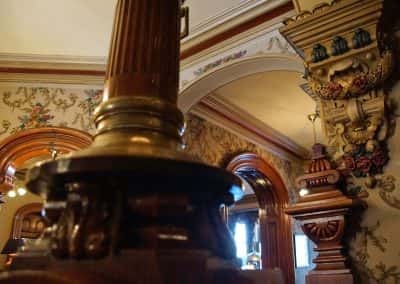 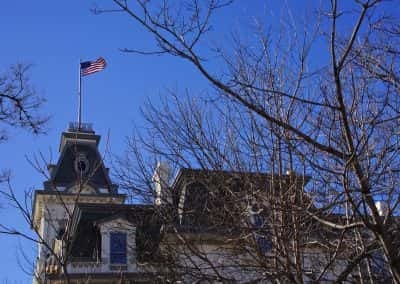 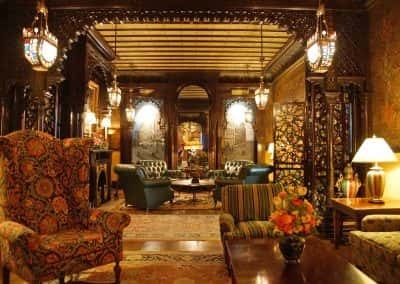 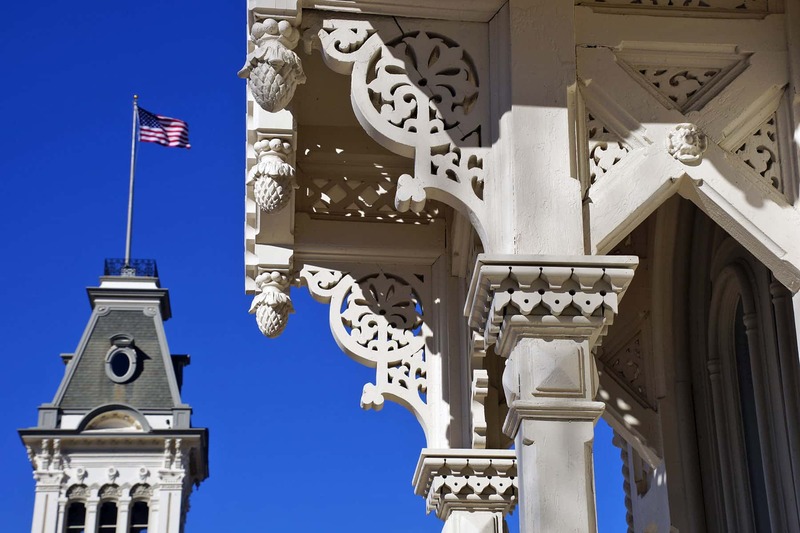 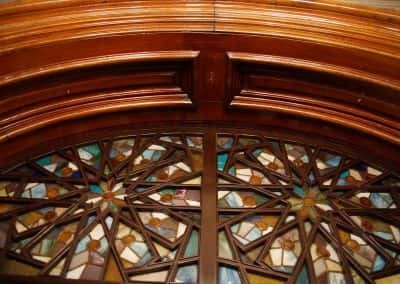 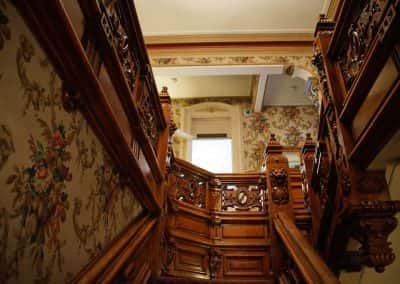 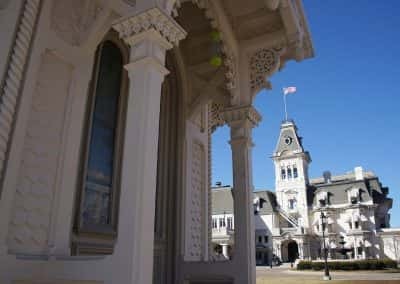 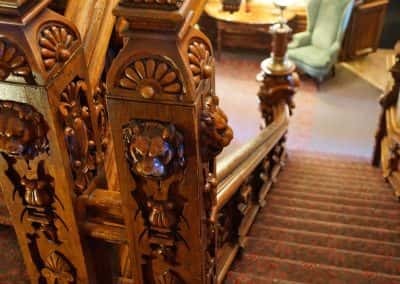 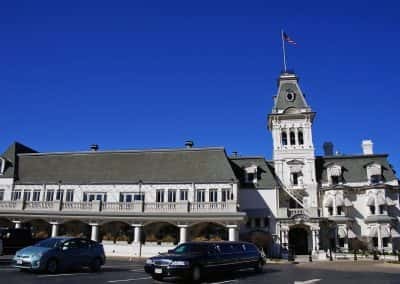 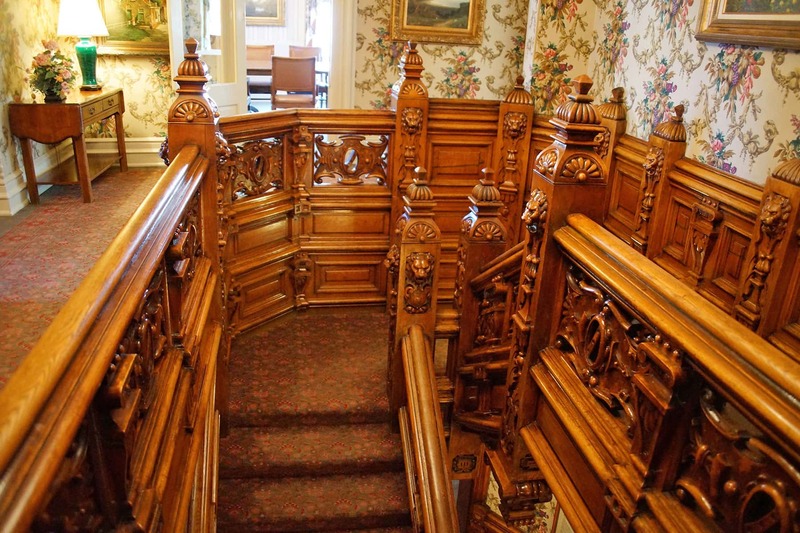 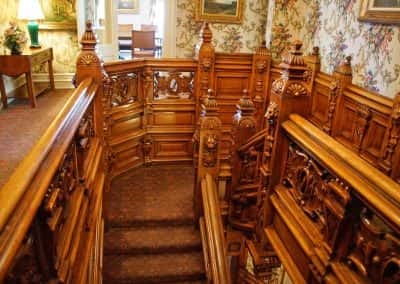 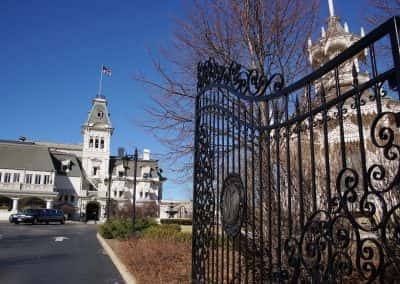 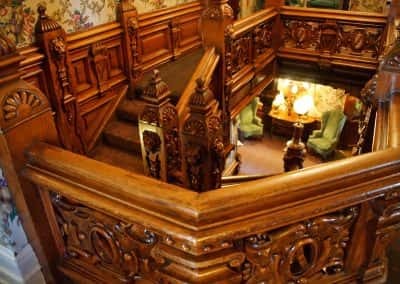 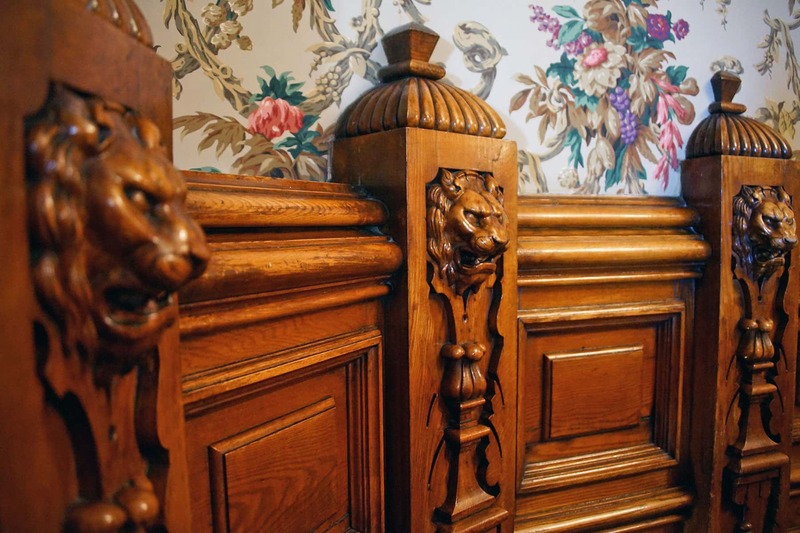 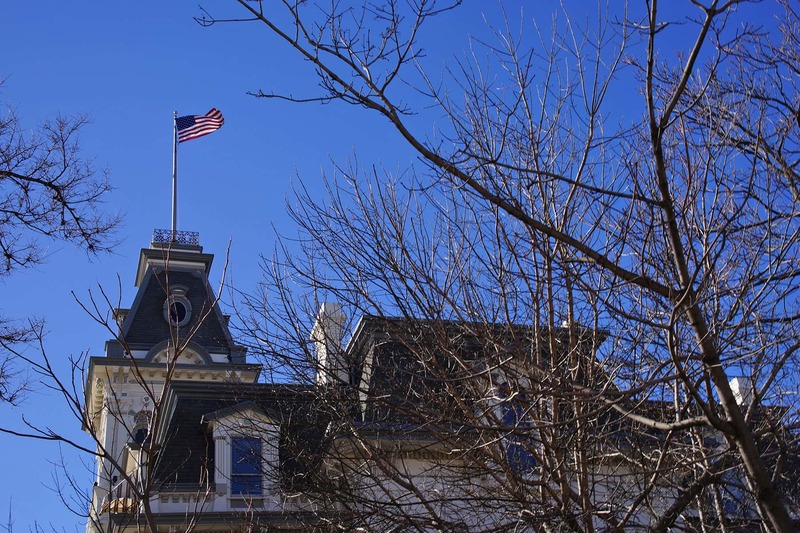 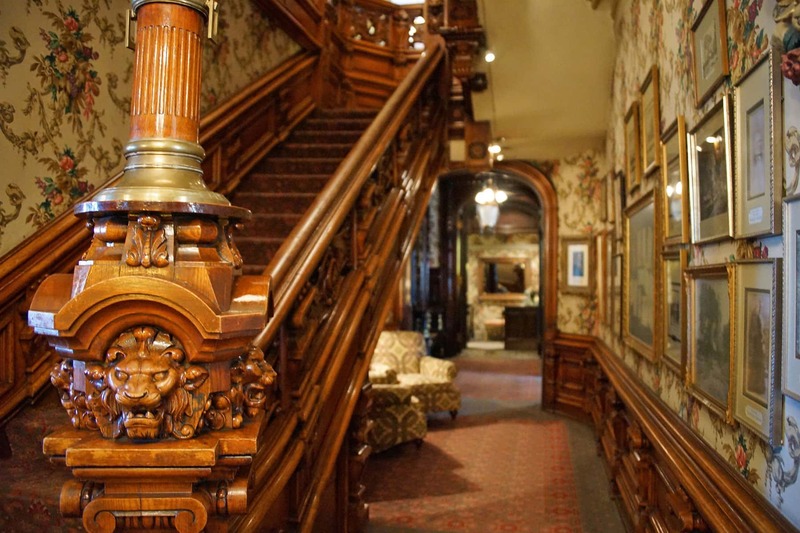 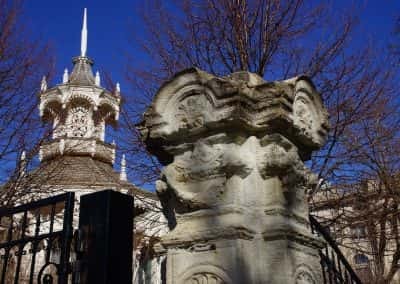 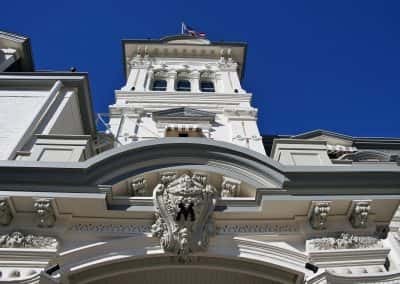 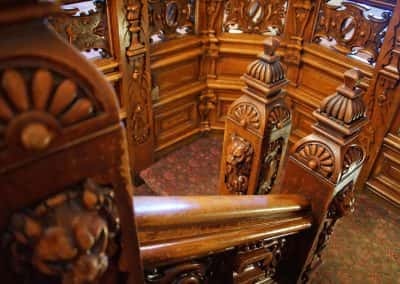 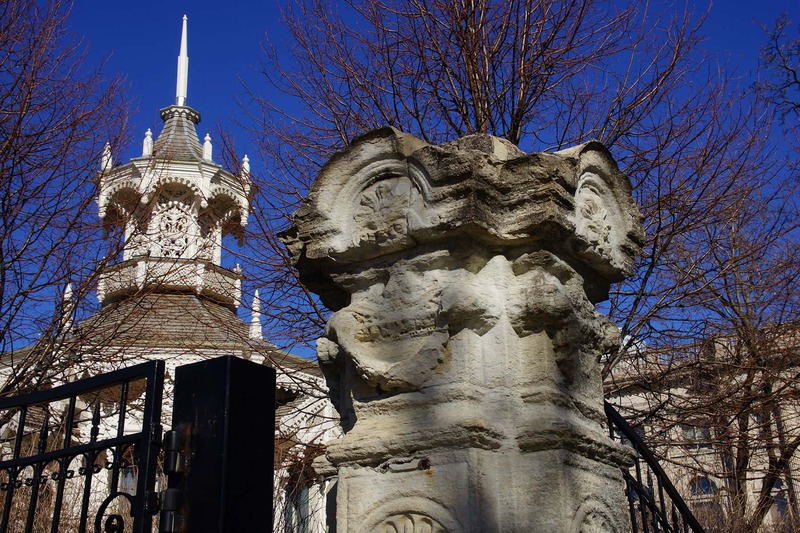 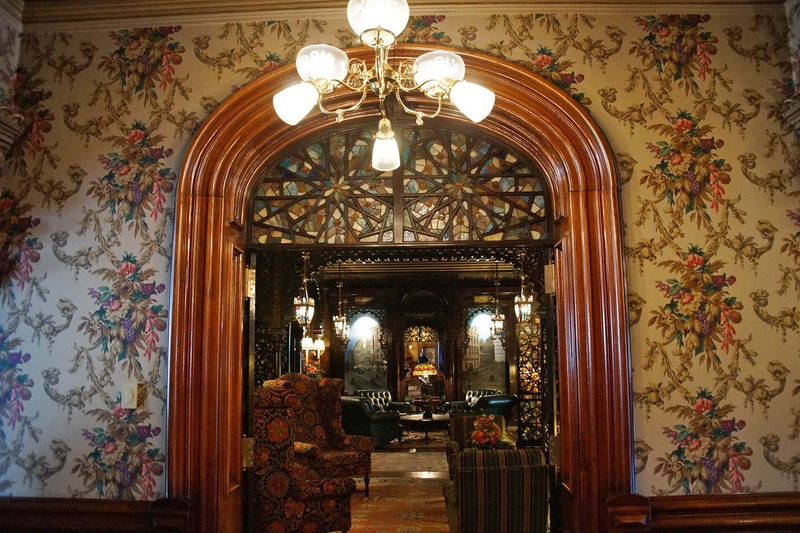 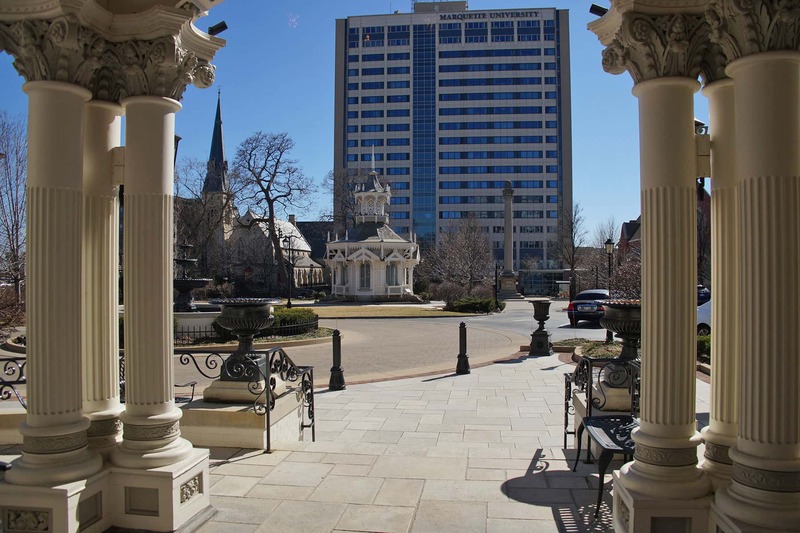 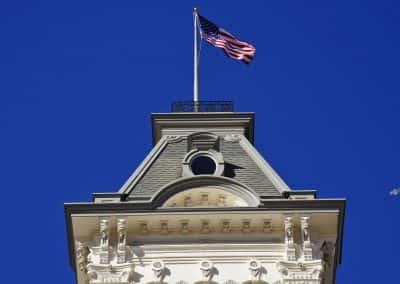 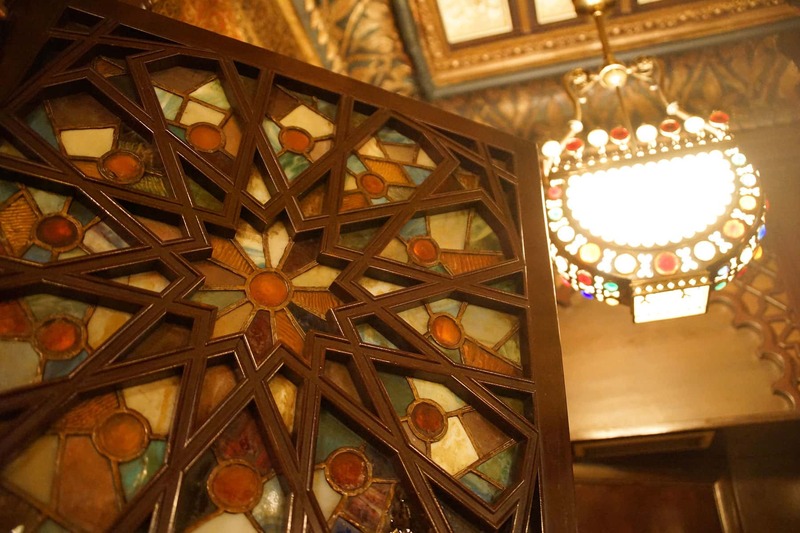 These images offer a look at some of the signature architecture within the Wisconsin Club, a former residence that has endured since the incorporation of Milwaukee as a city.